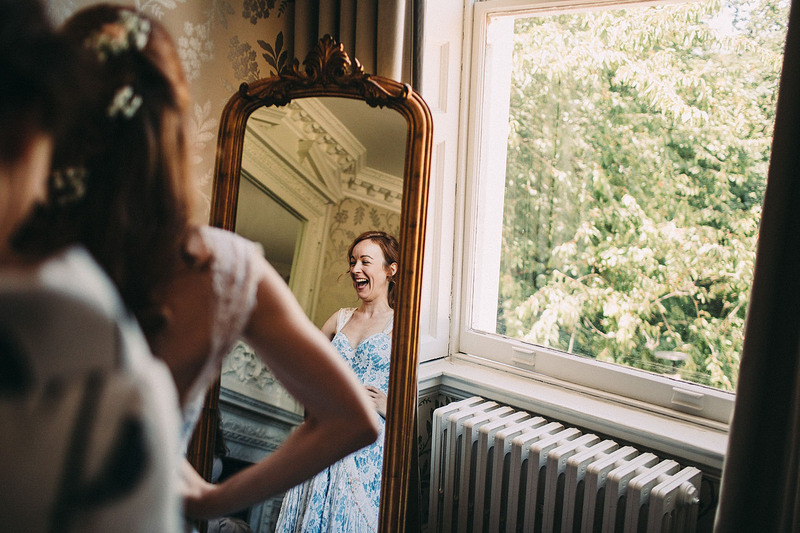 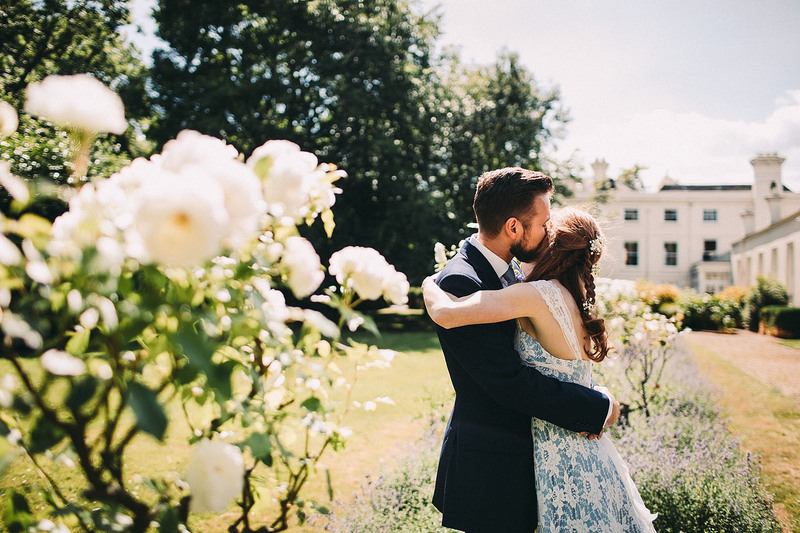 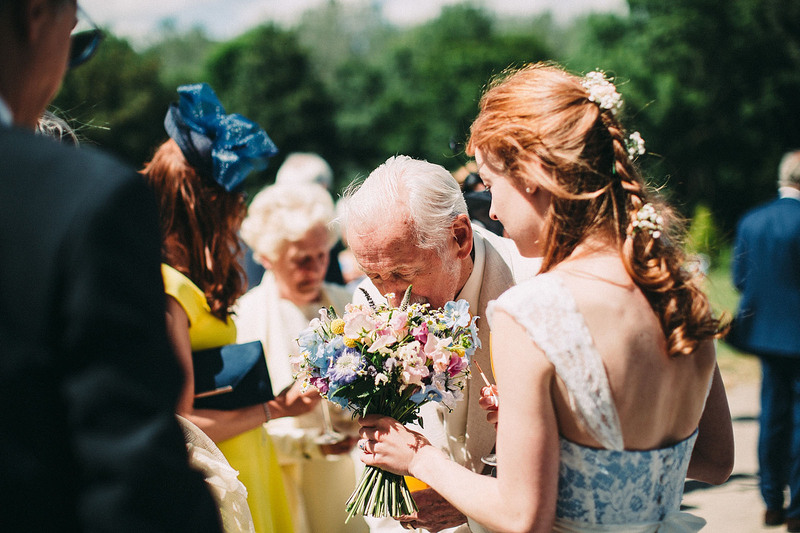 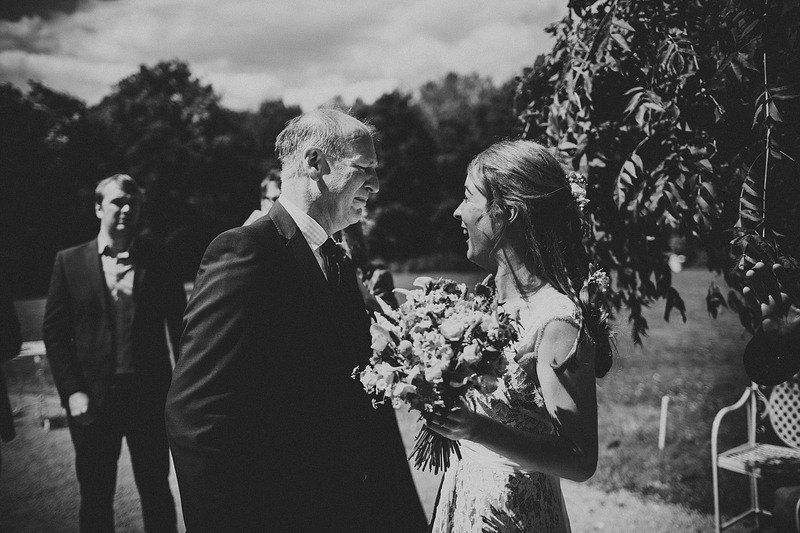 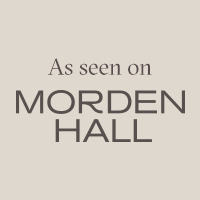 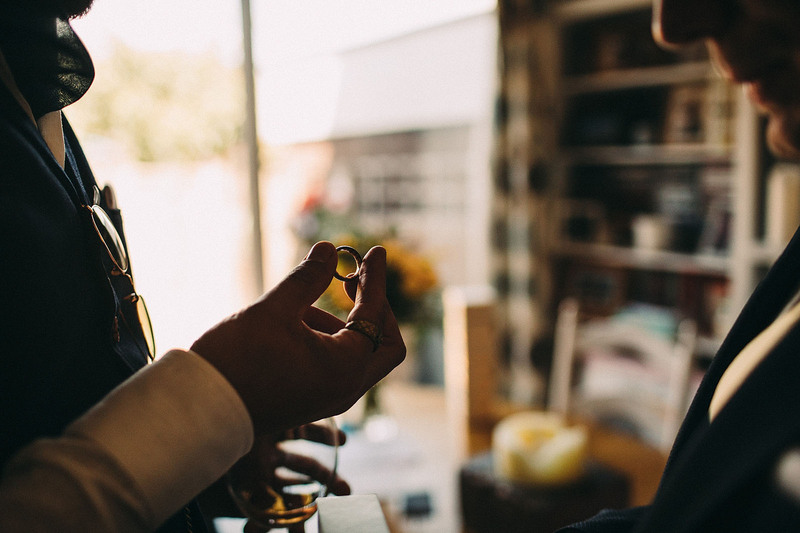 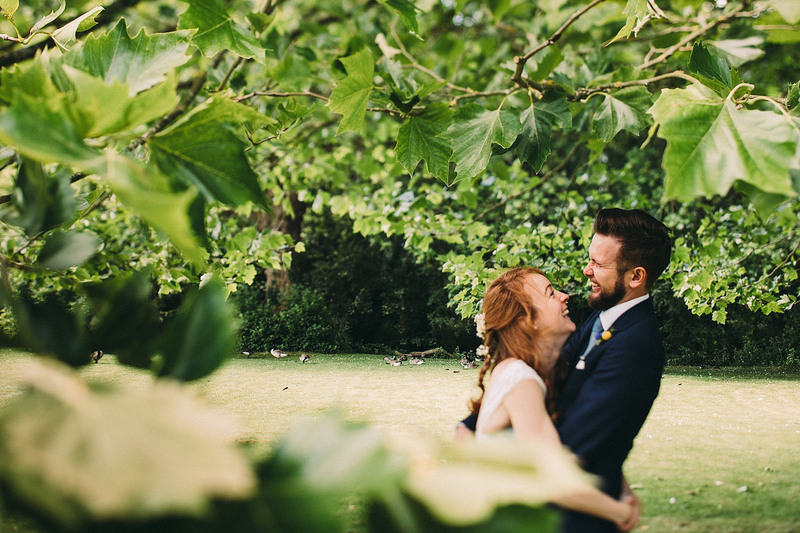 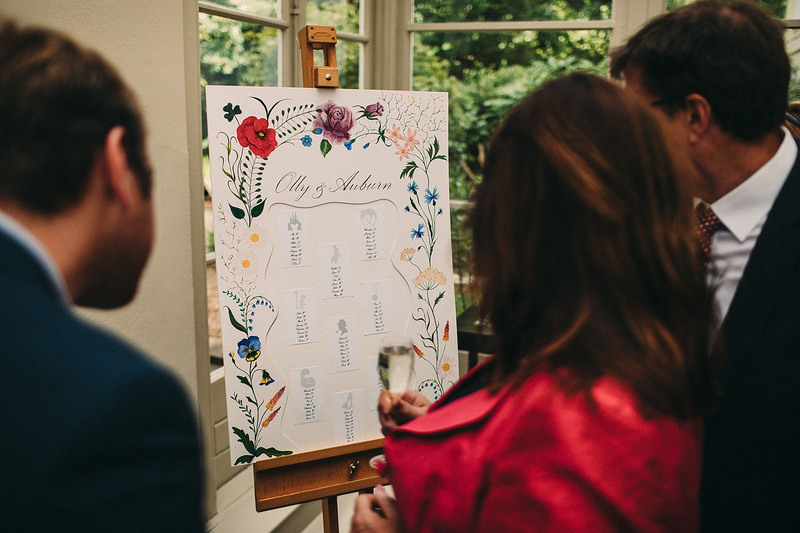 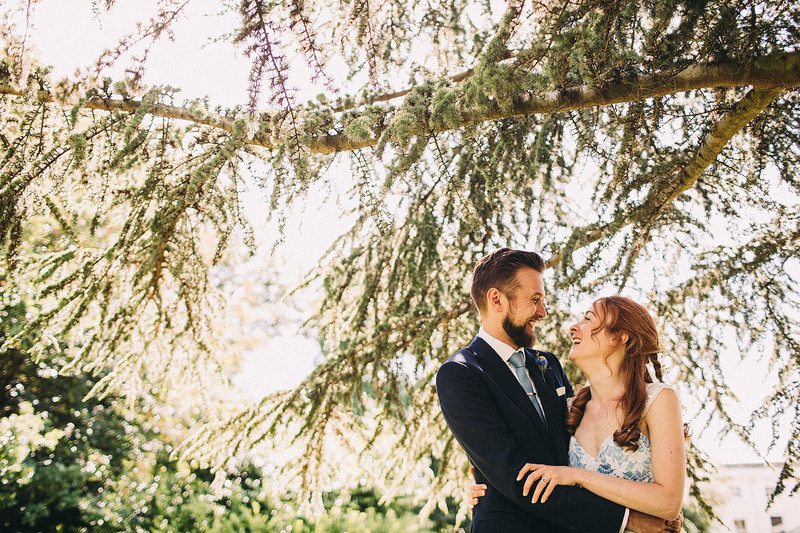 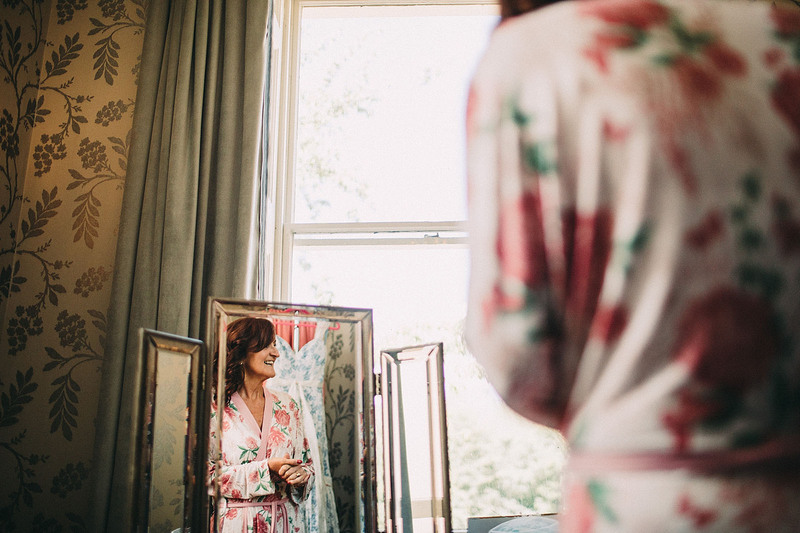 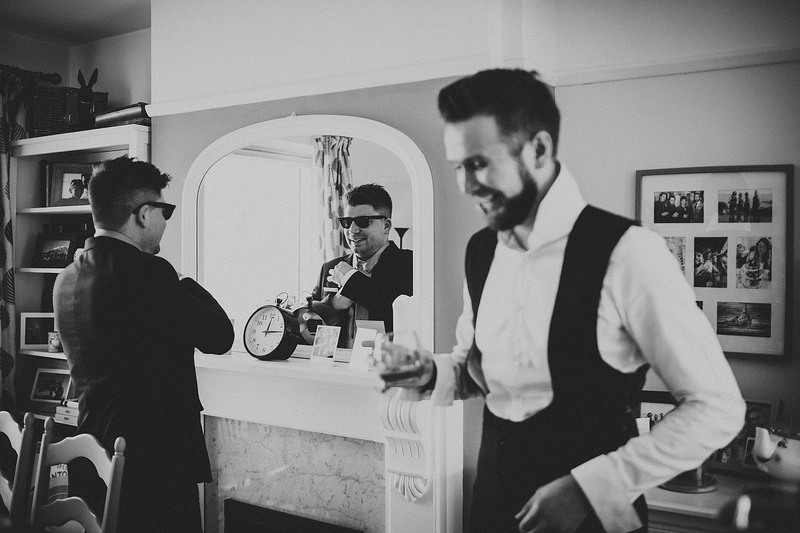 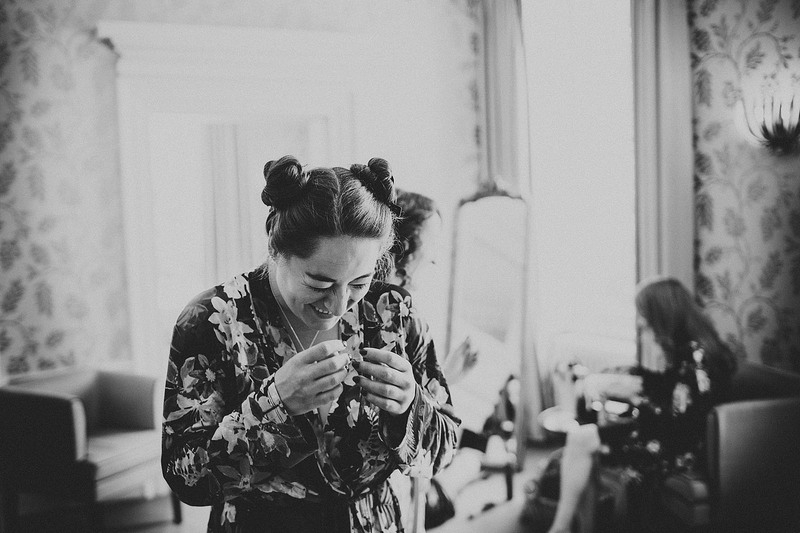 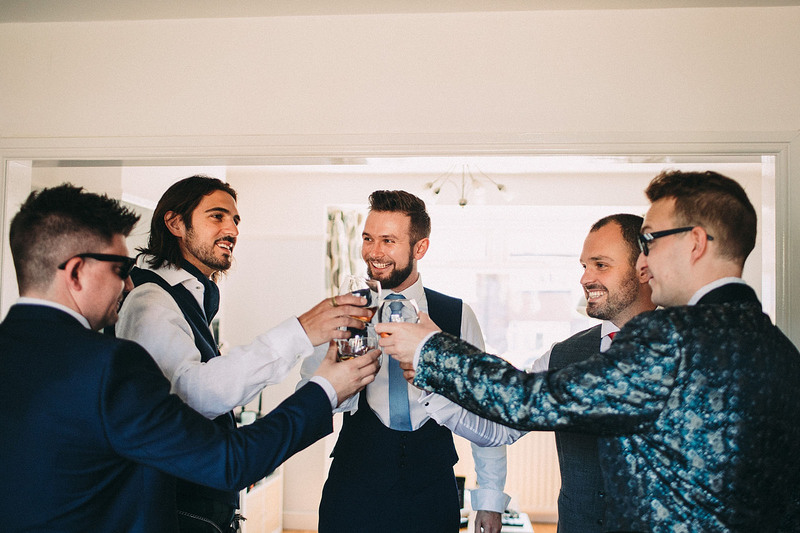 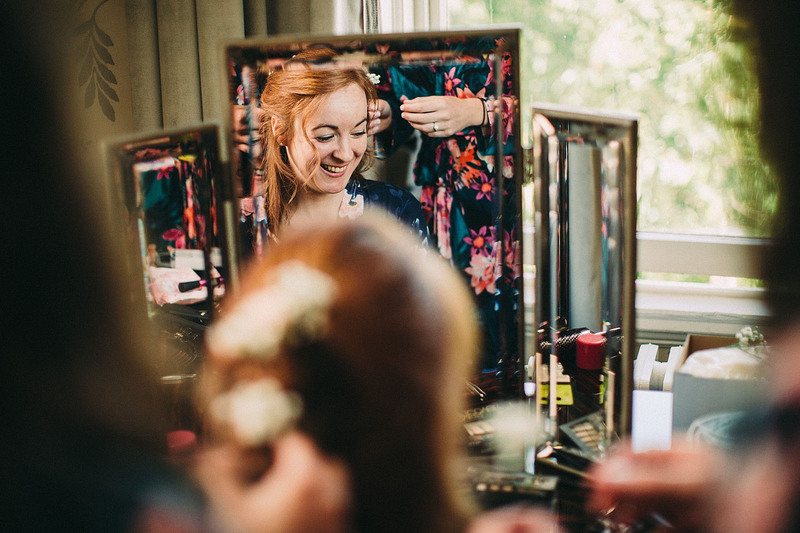 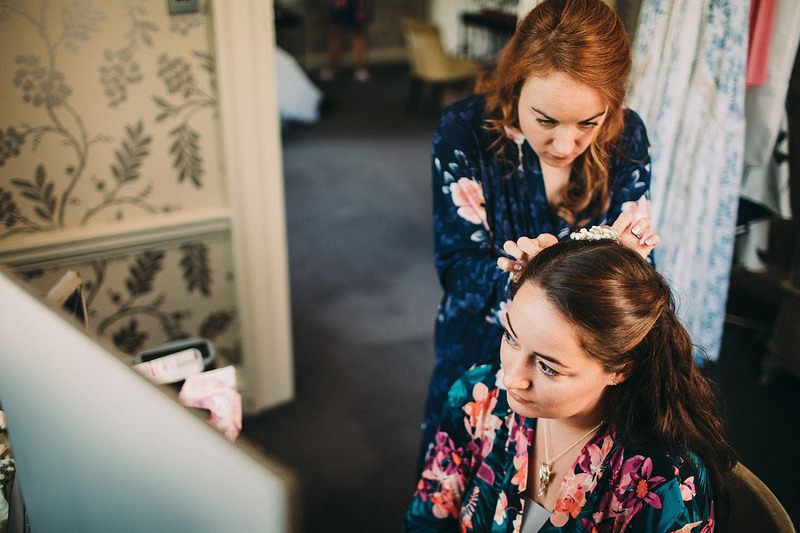 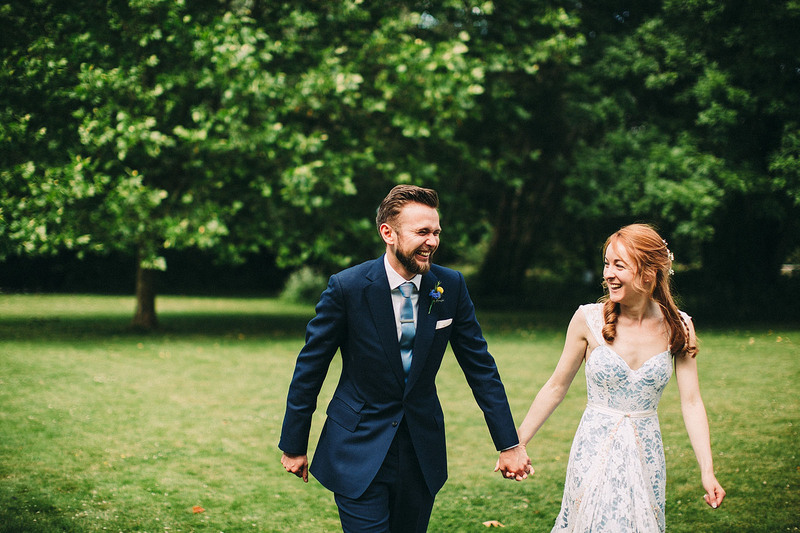 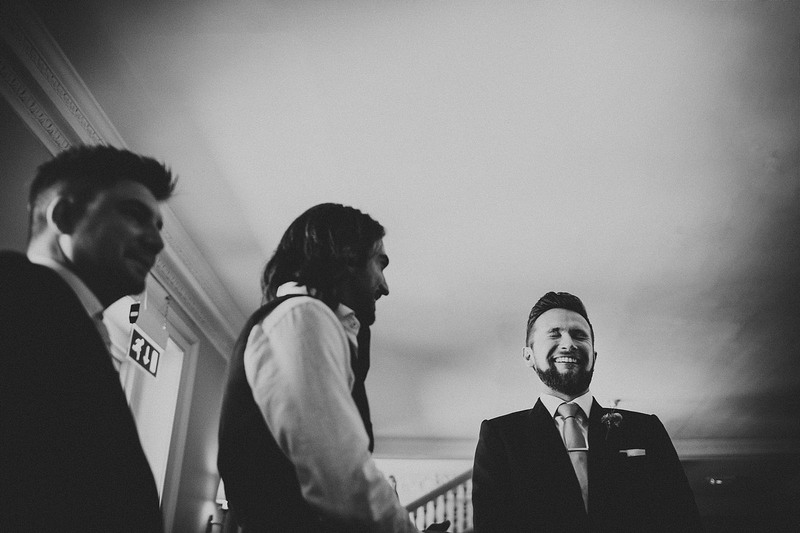 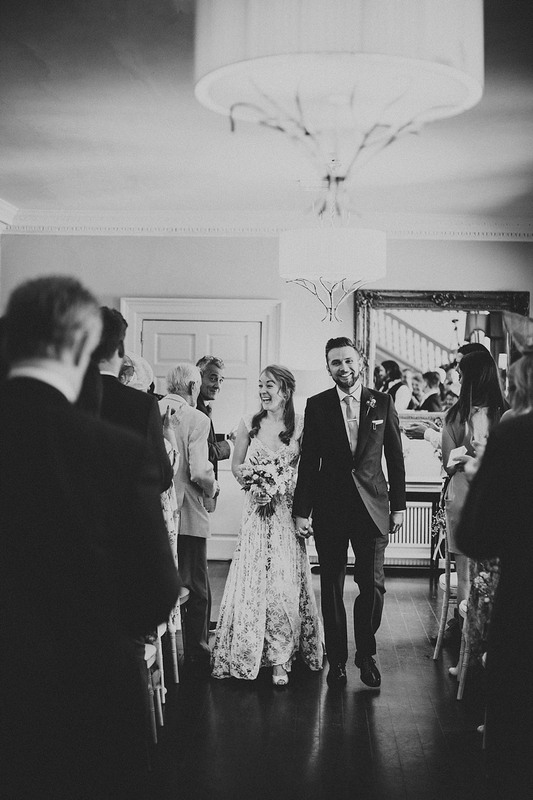 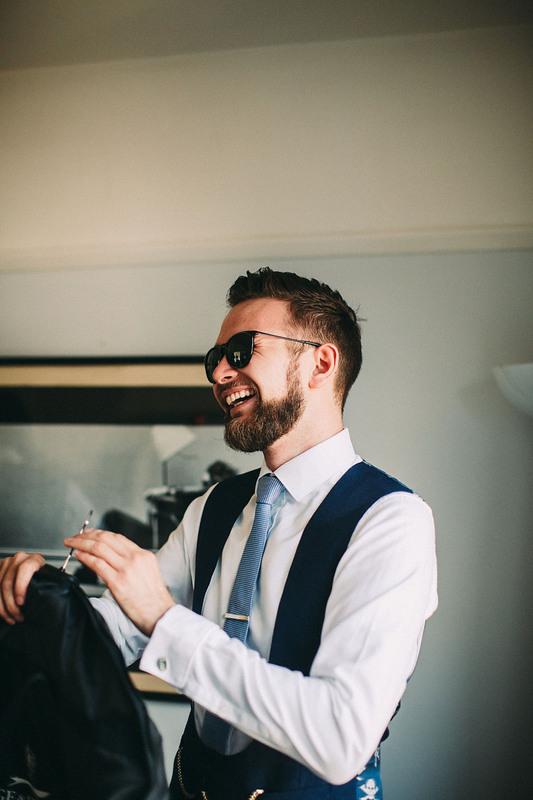 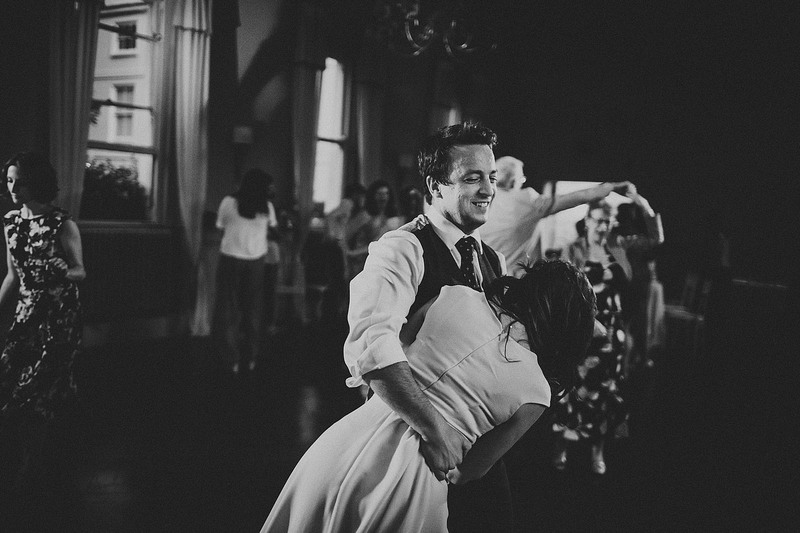 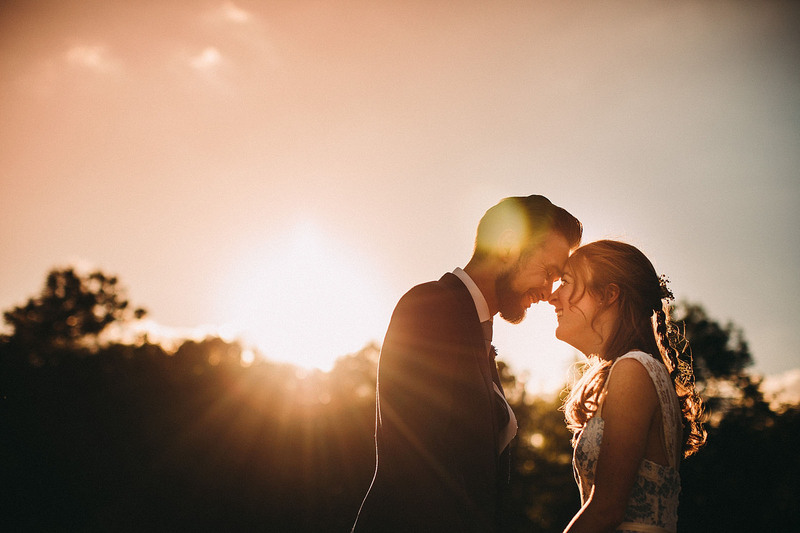 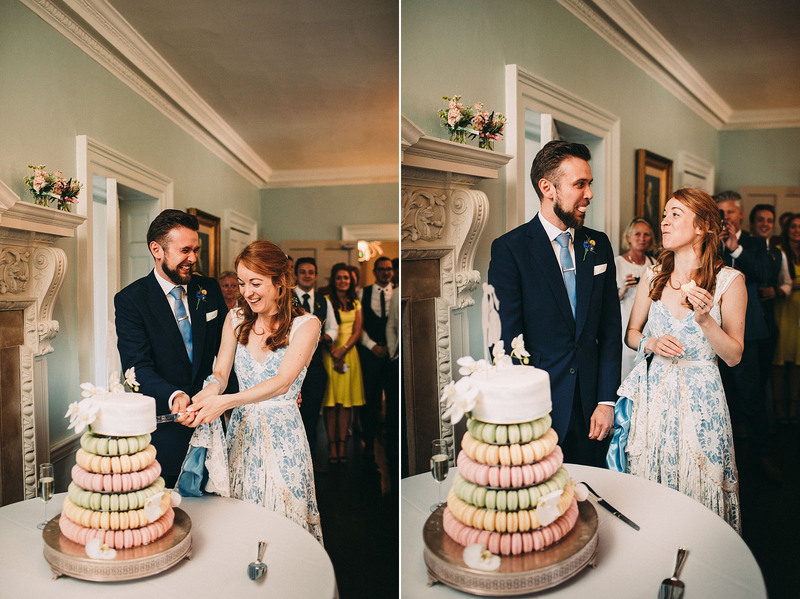 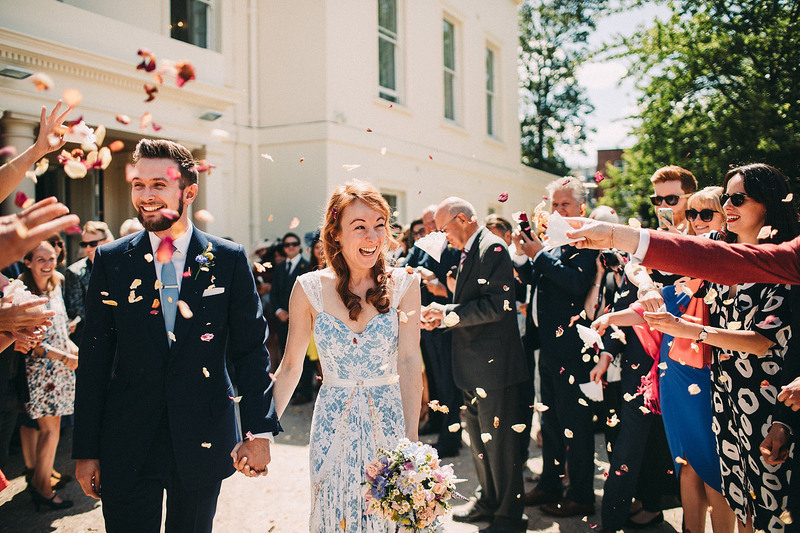 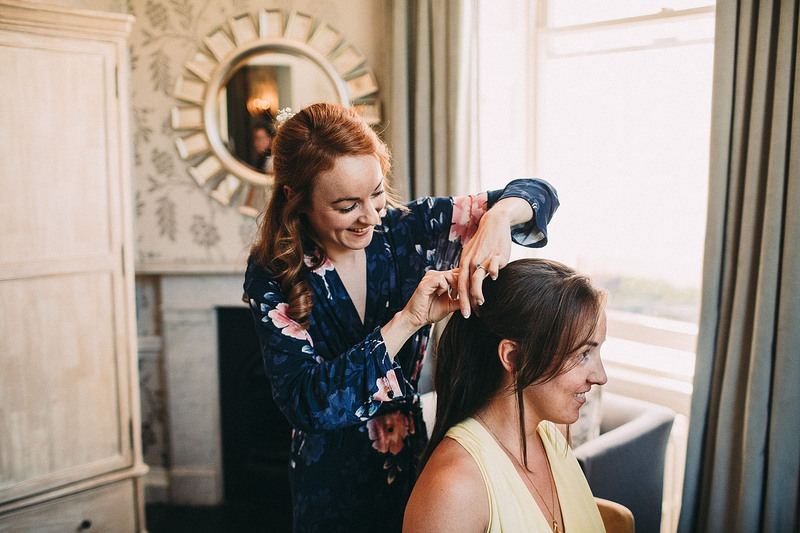 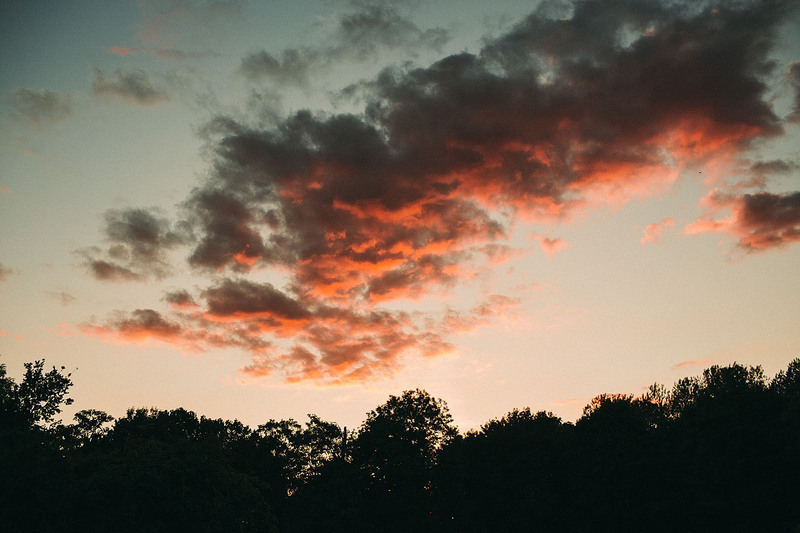 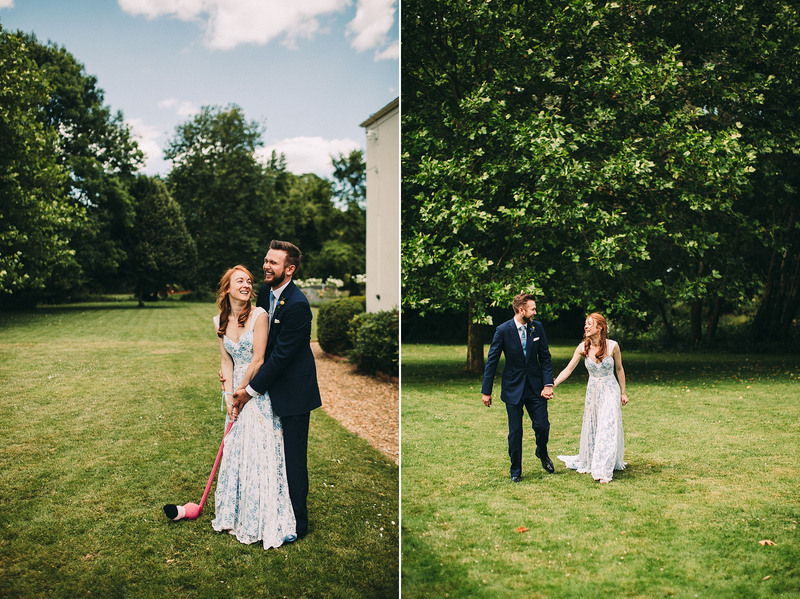 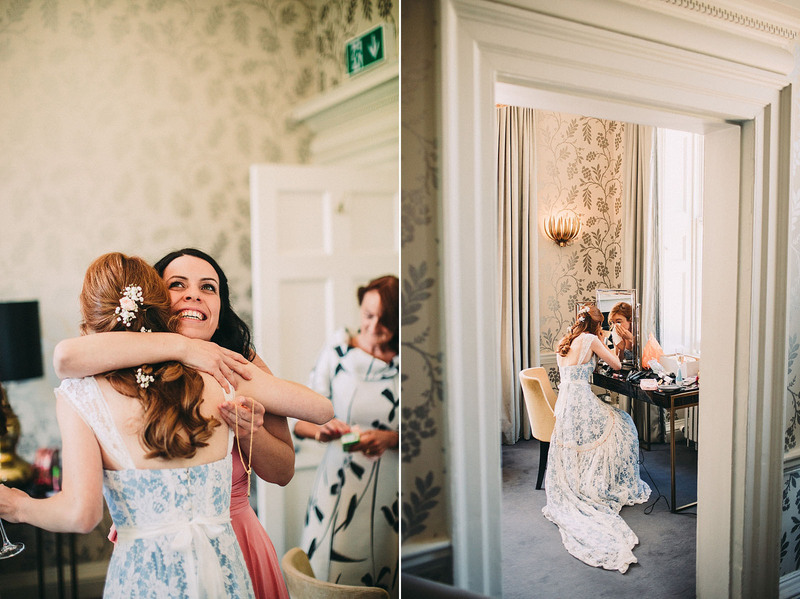 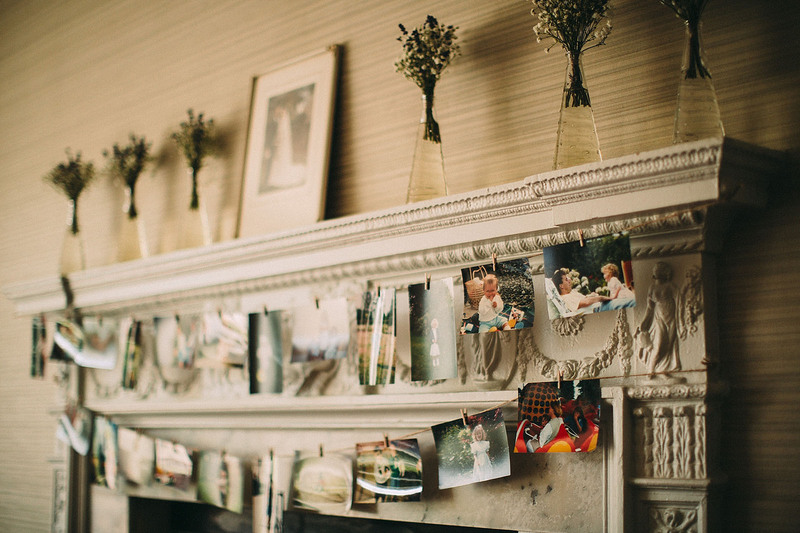 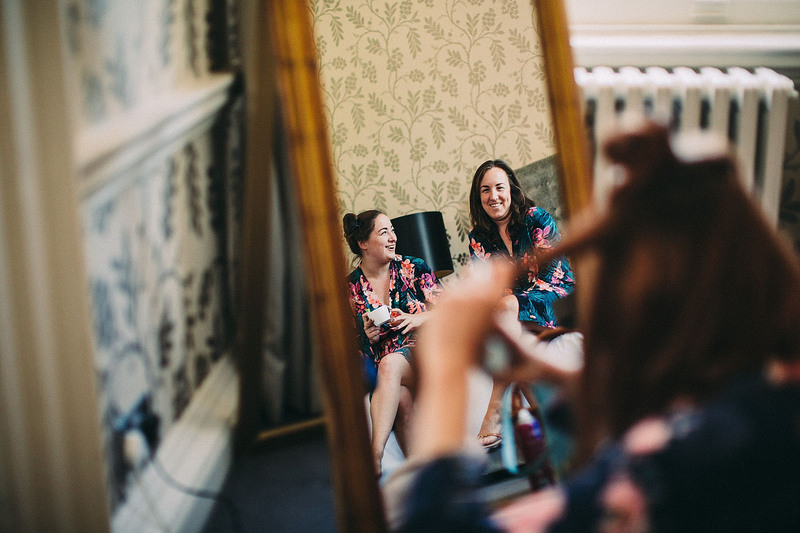 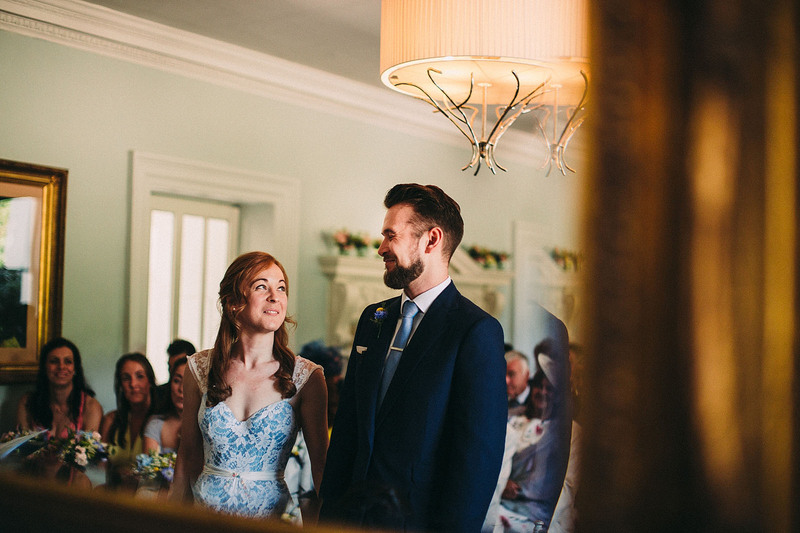 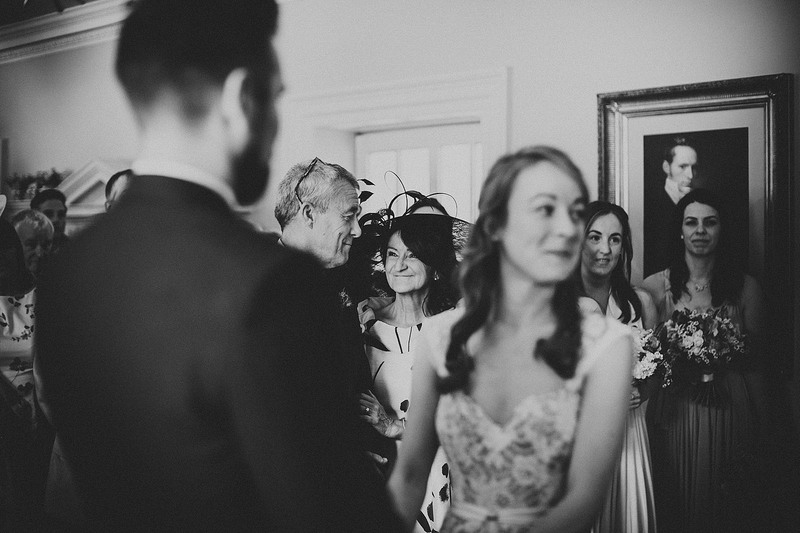 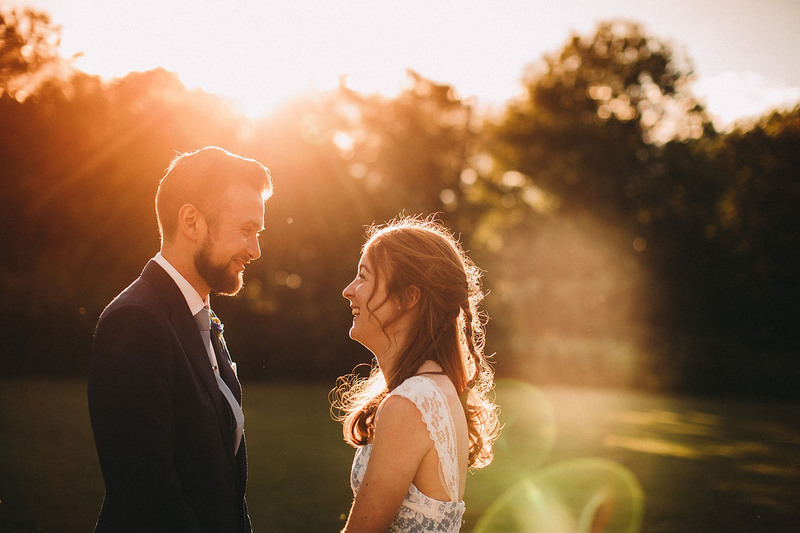 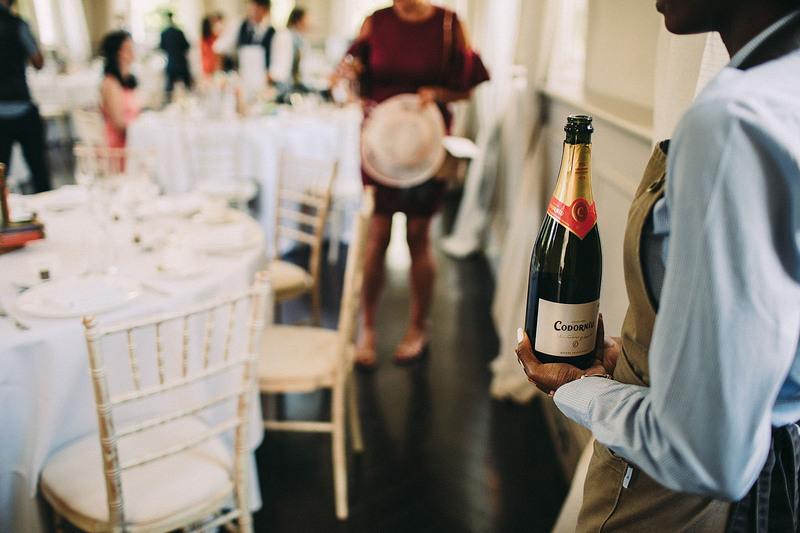 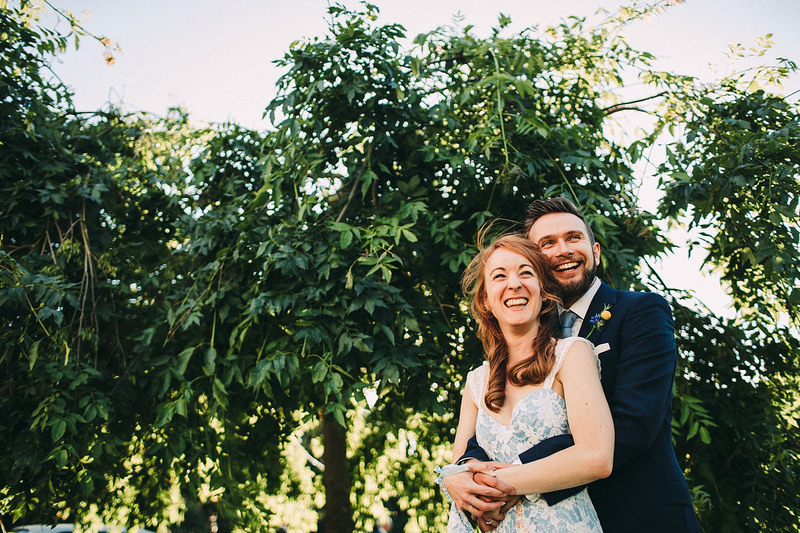 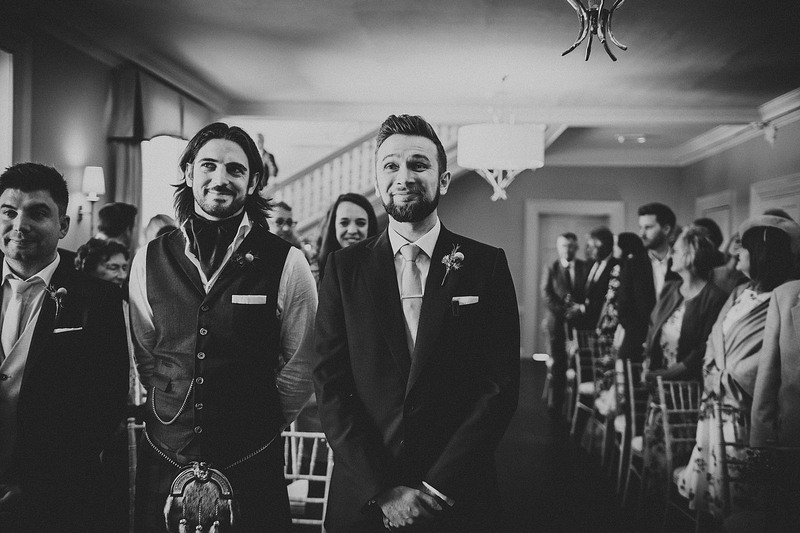 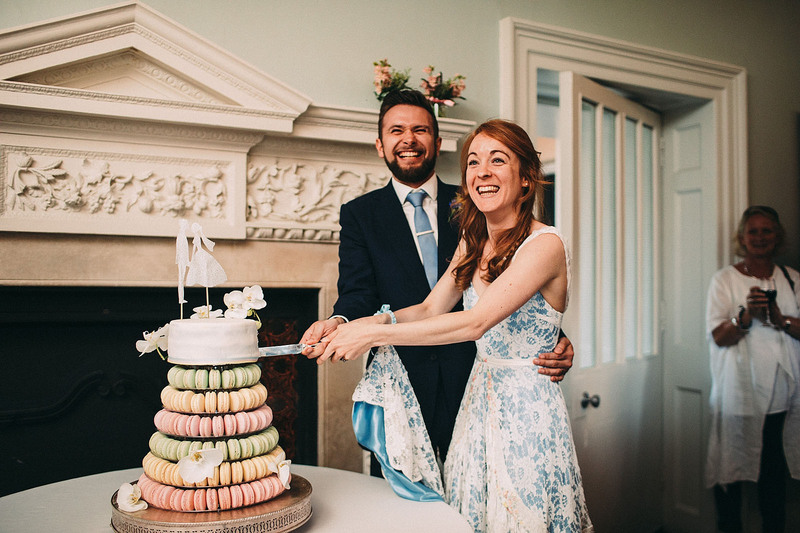 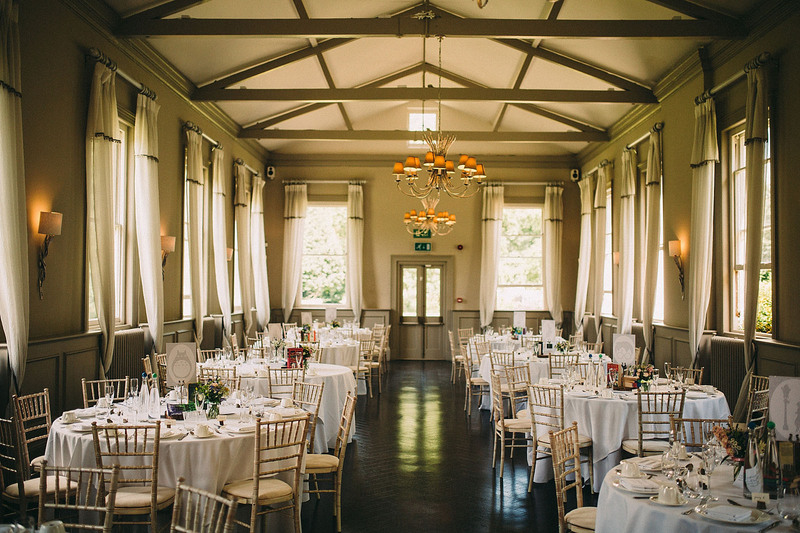 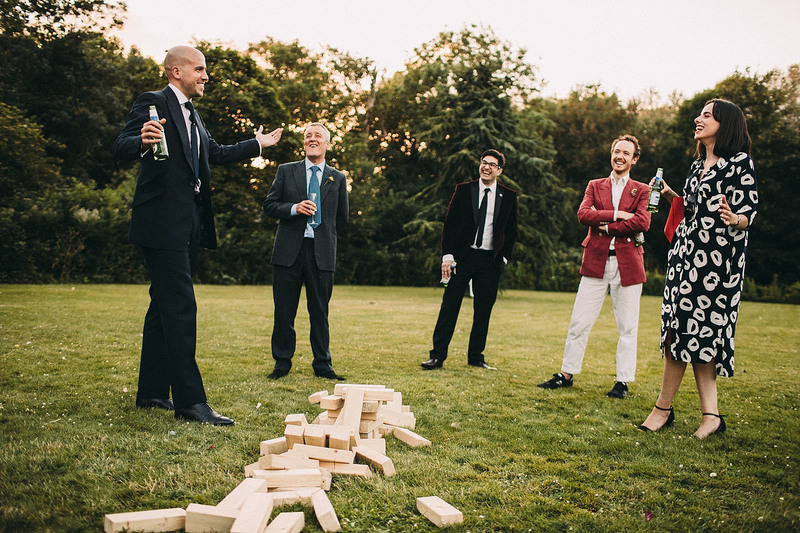 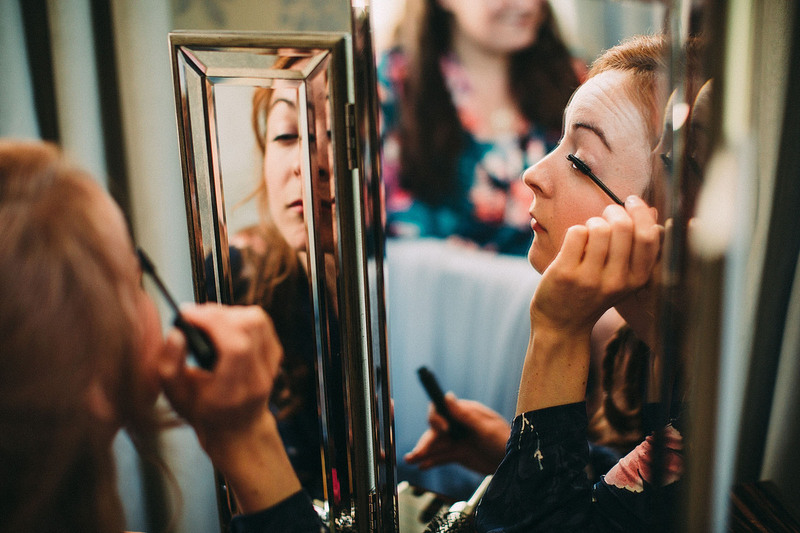 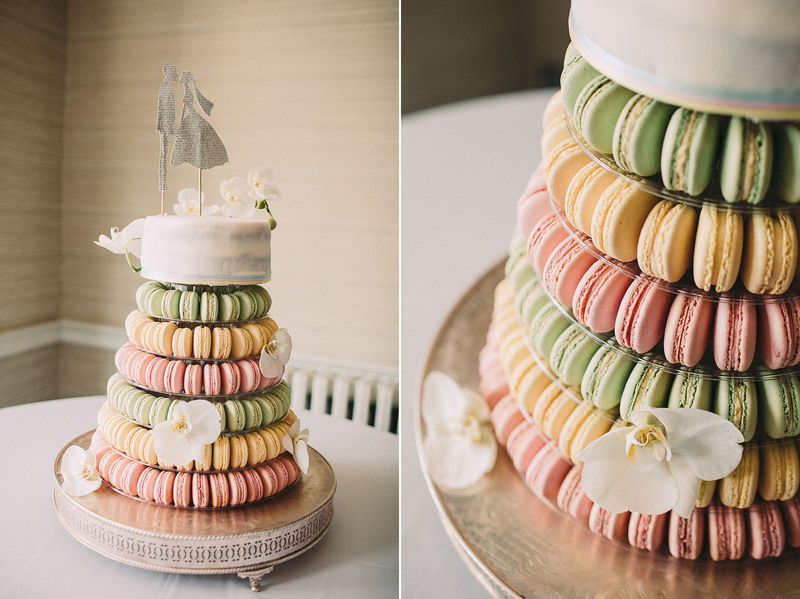 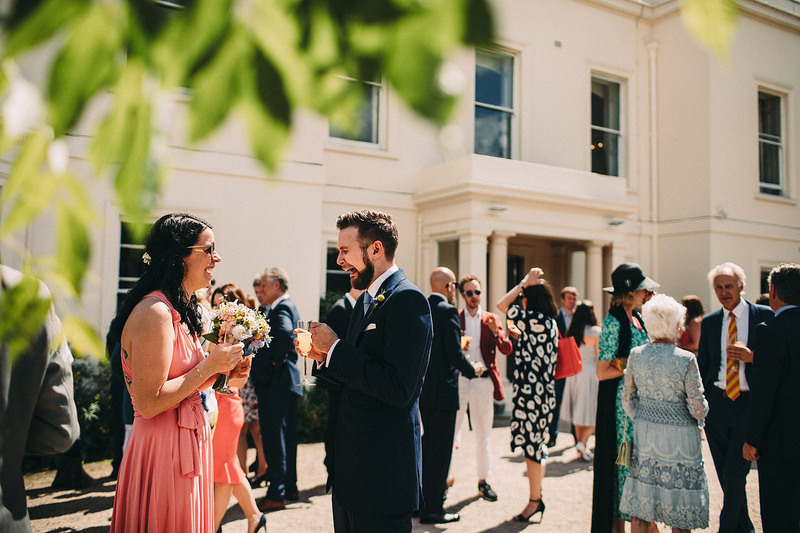 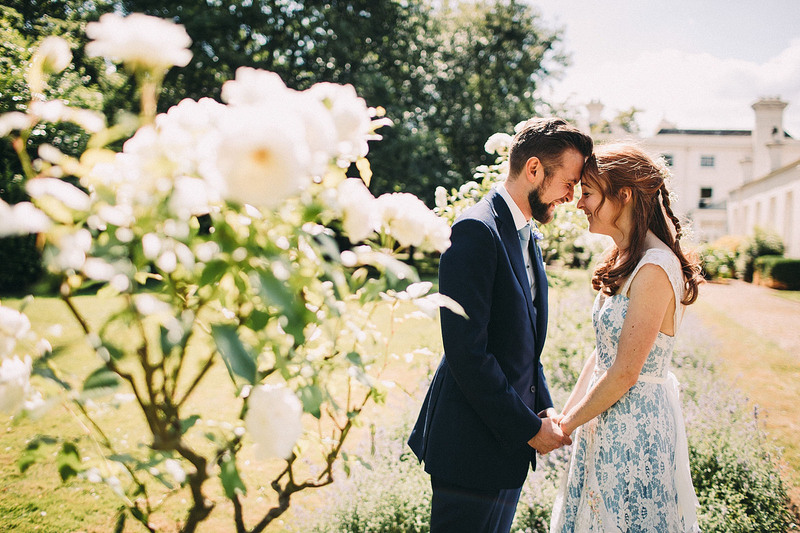 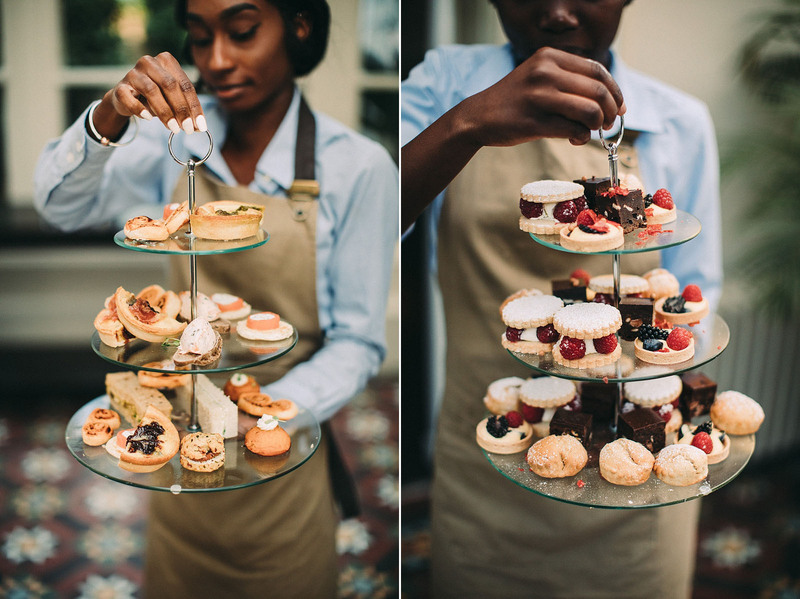 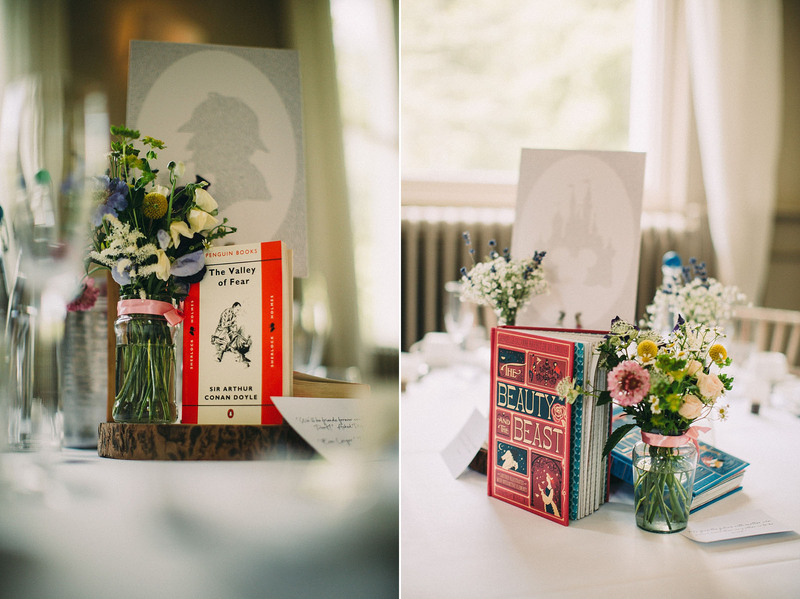 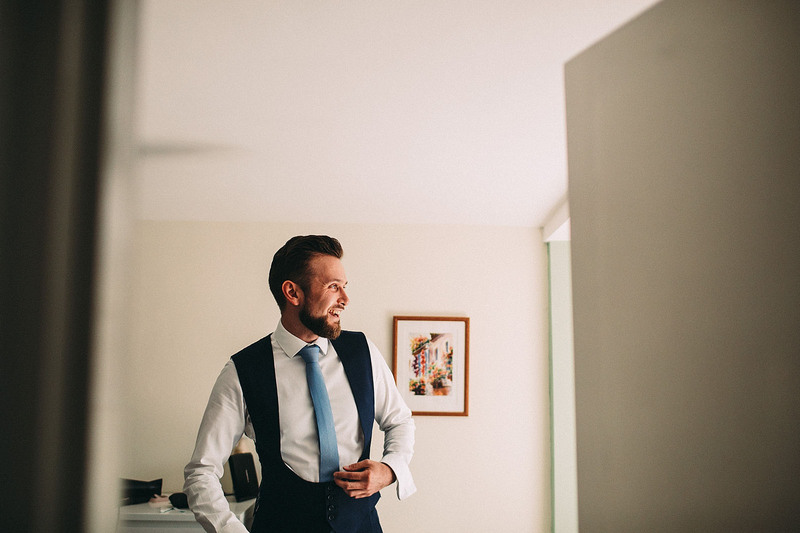 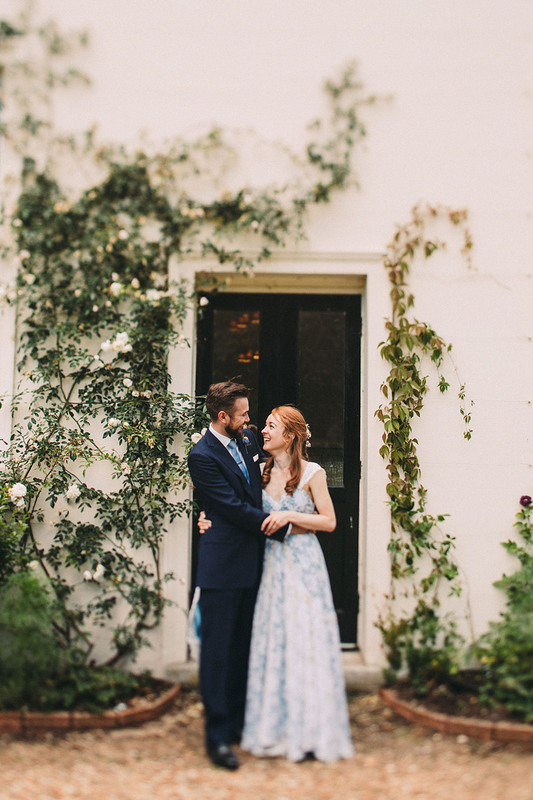 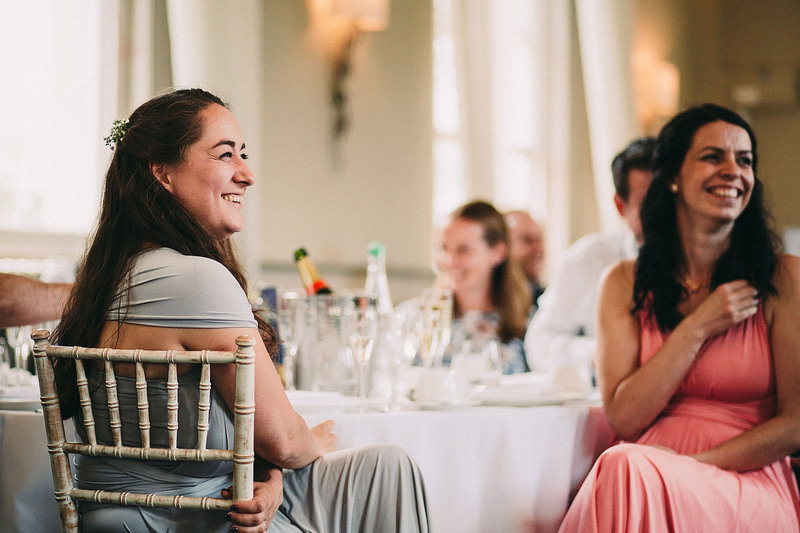 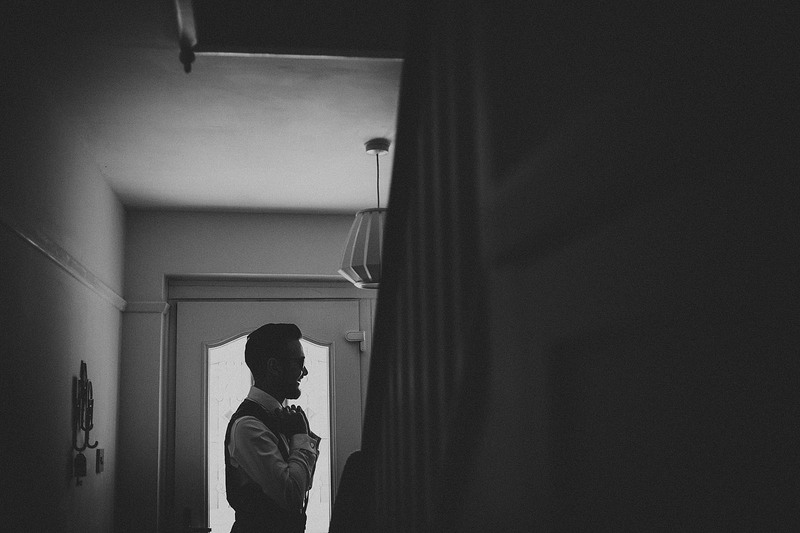 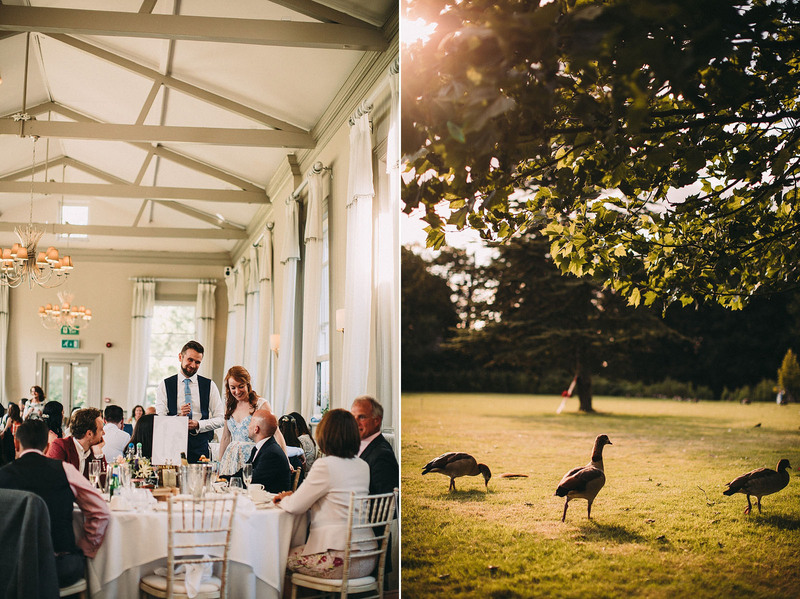 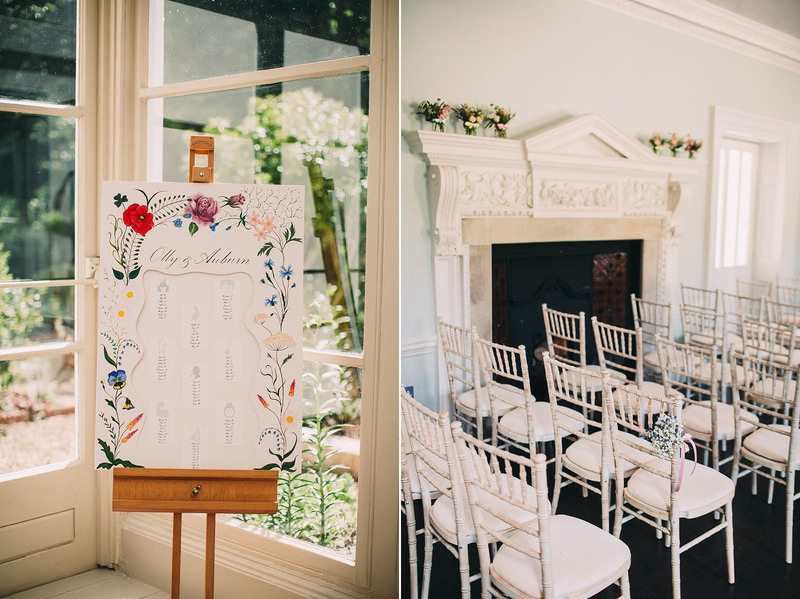 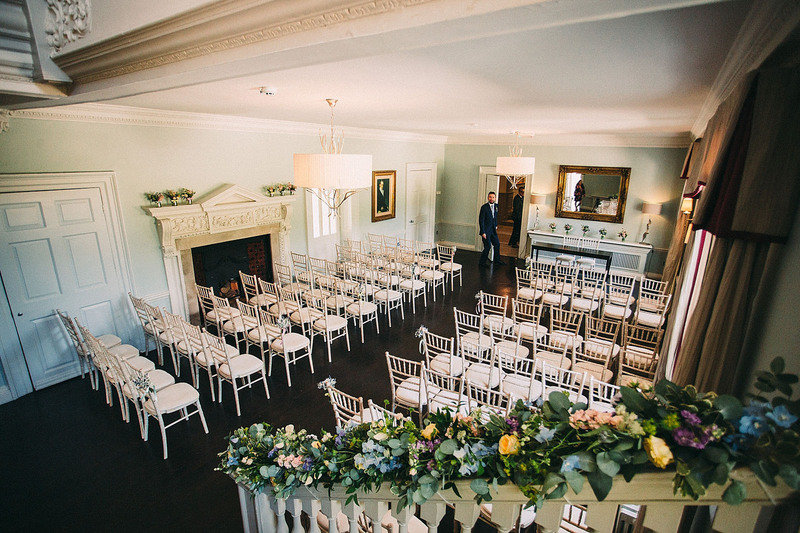 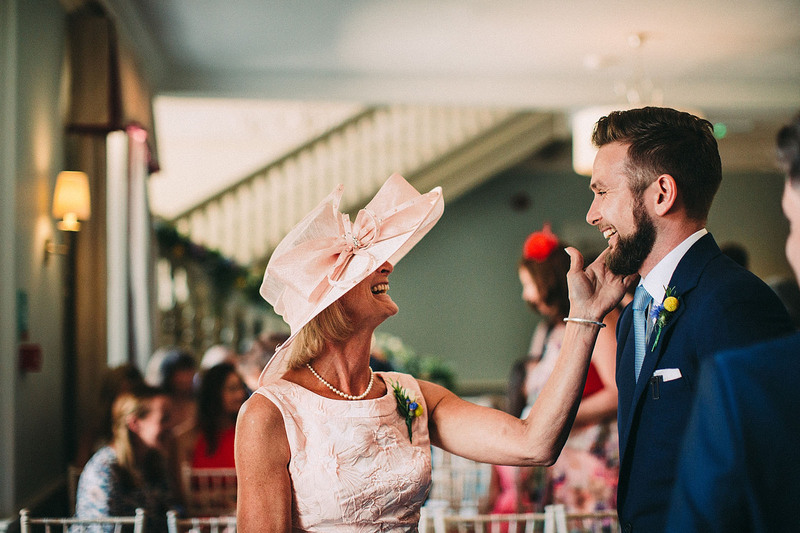 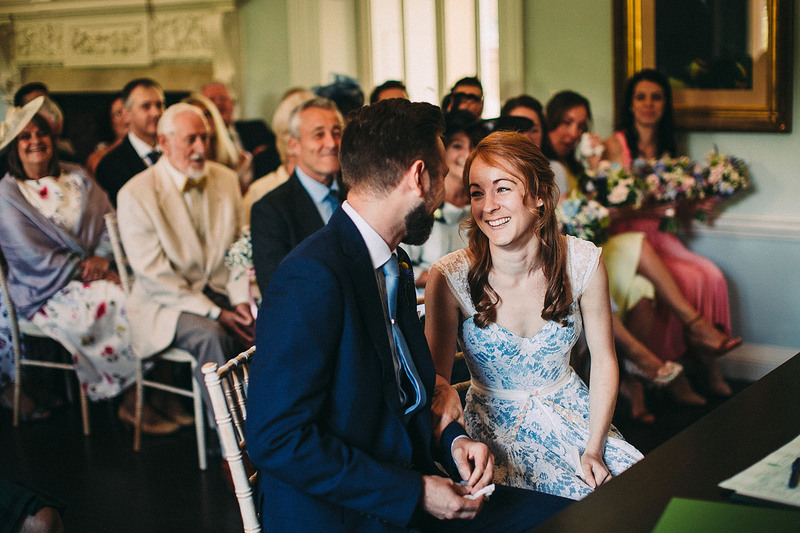 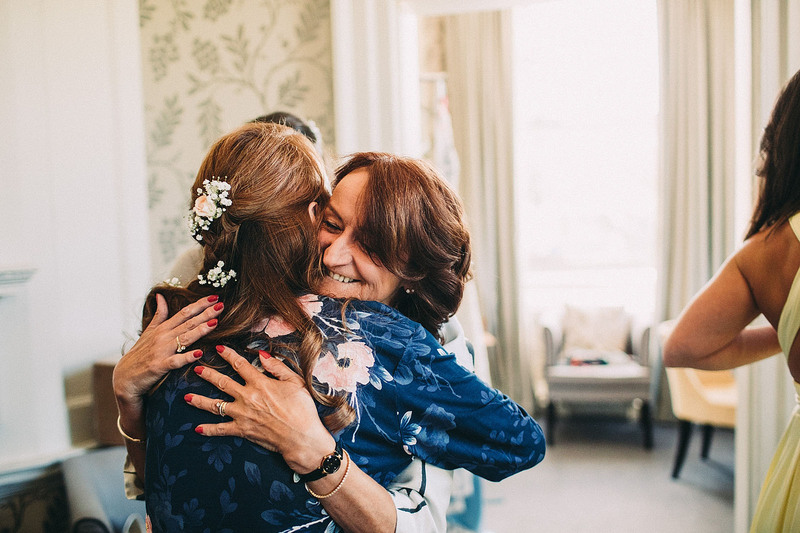 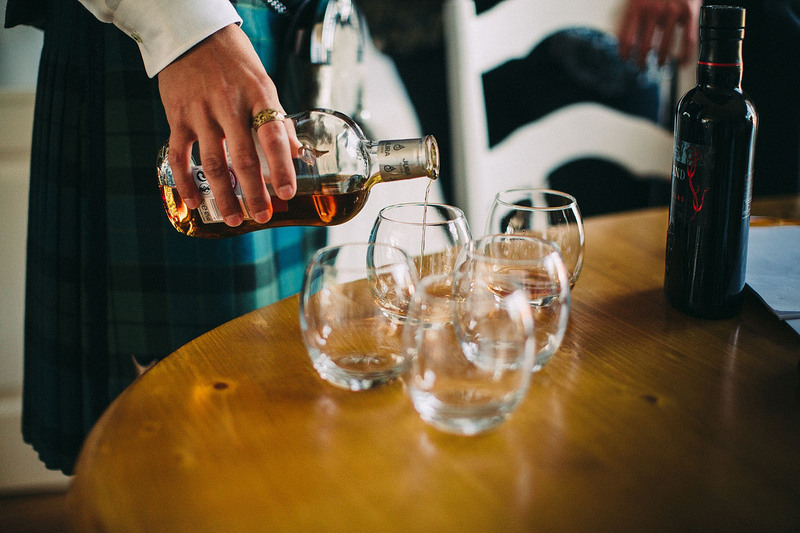 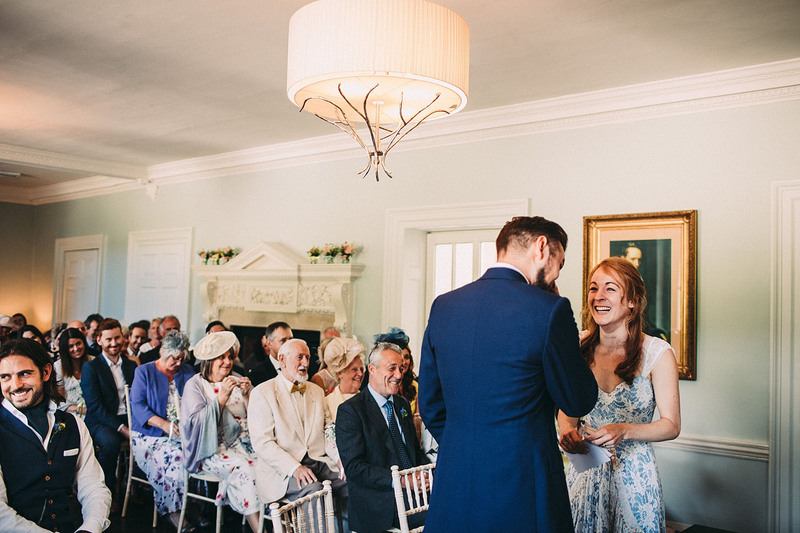 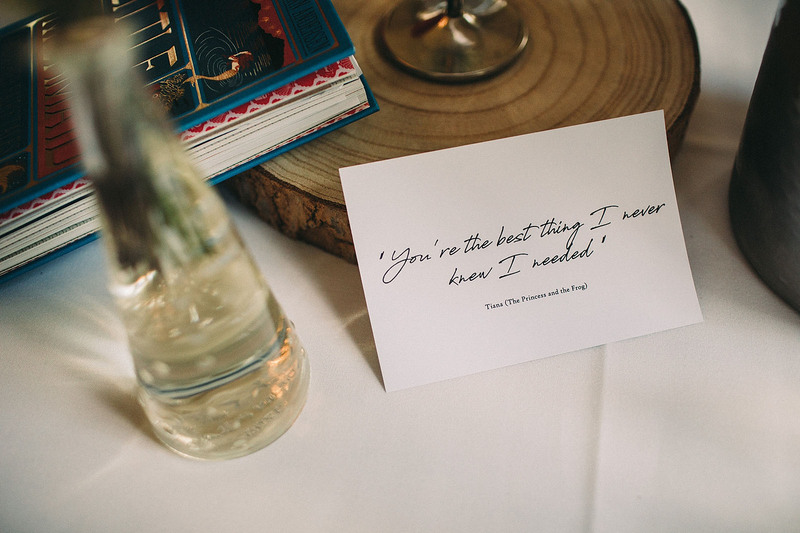 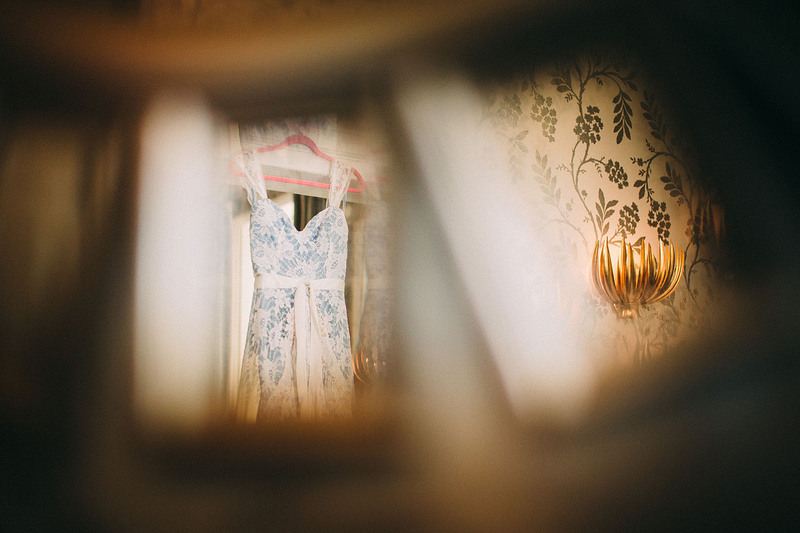 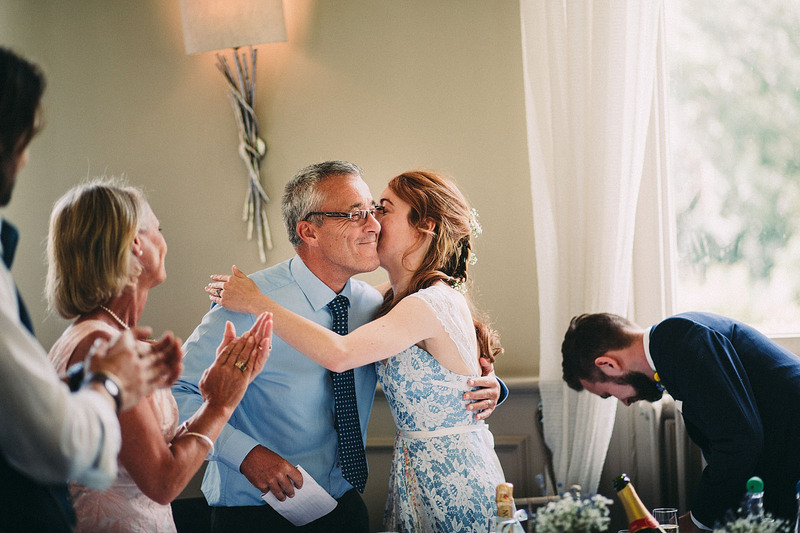 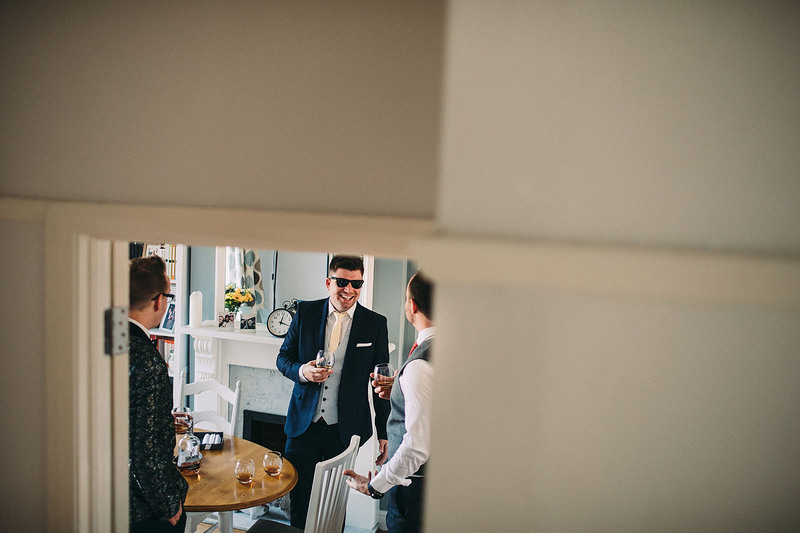 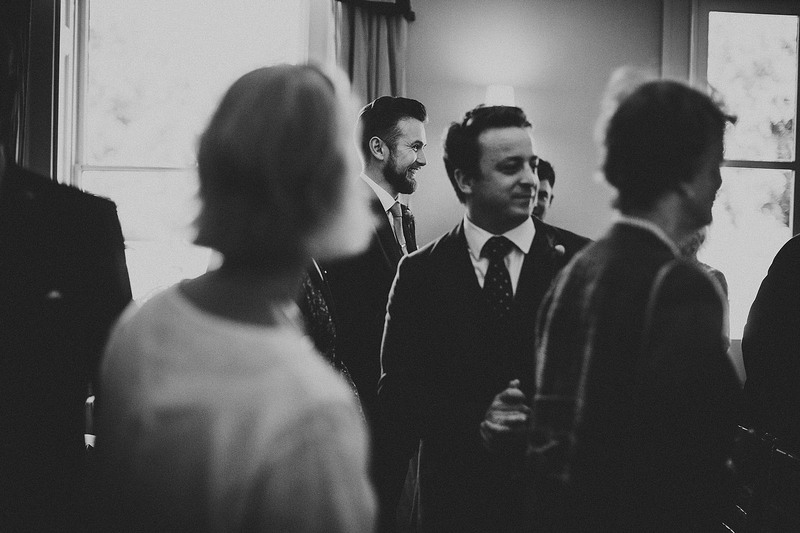 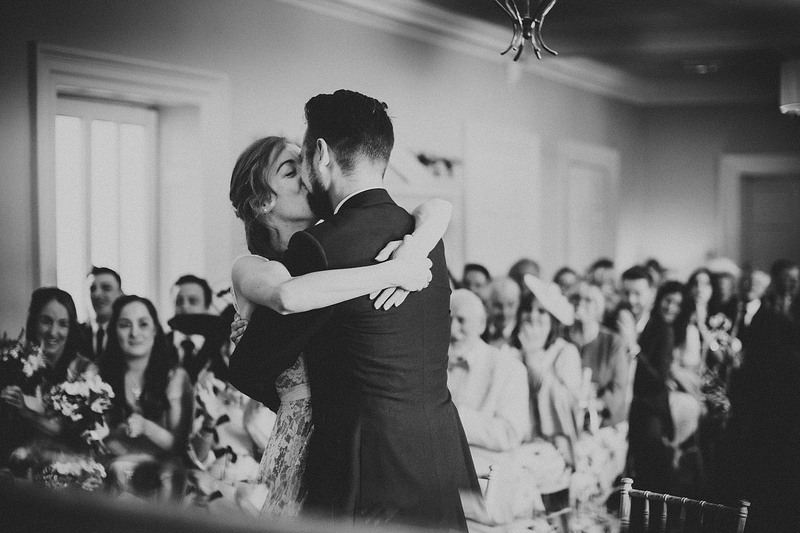 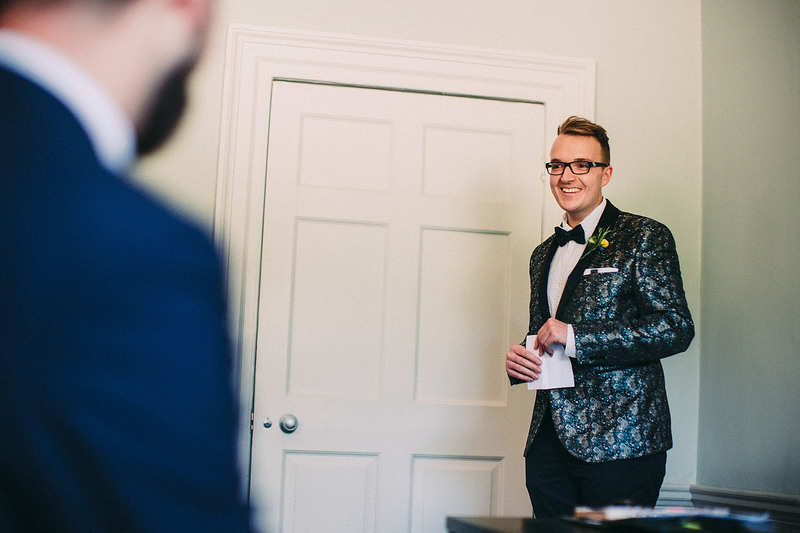 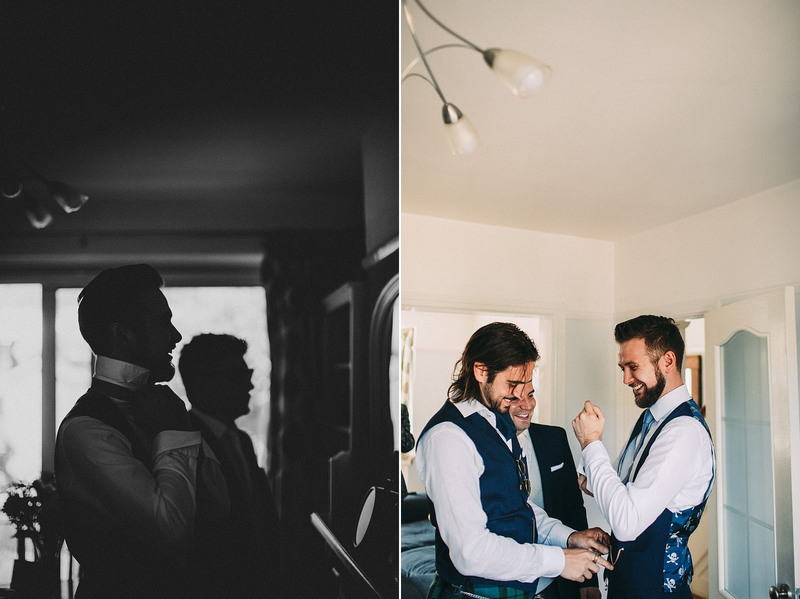 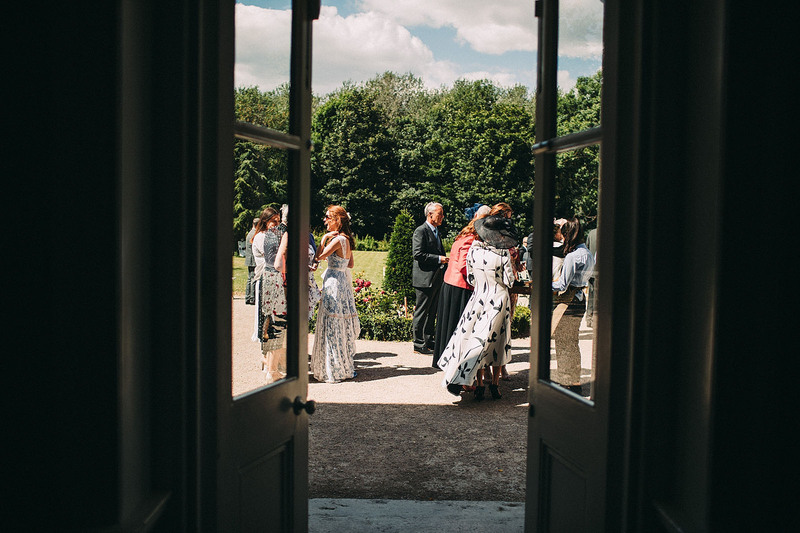 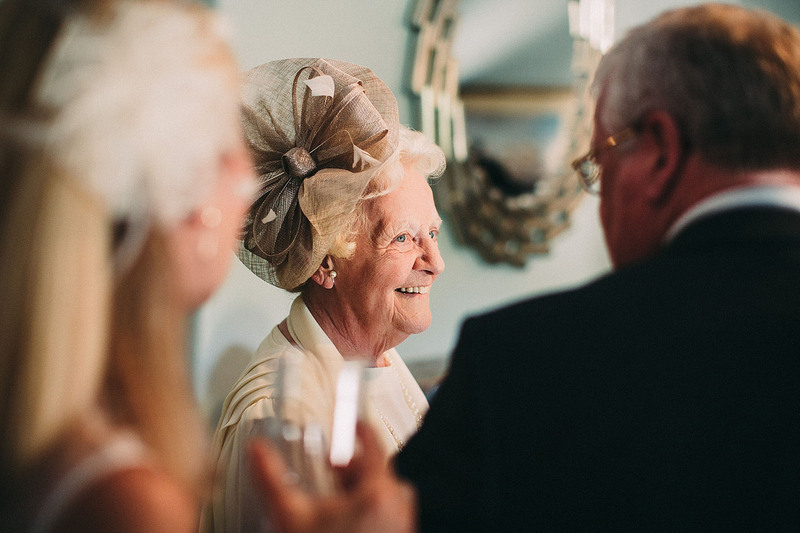 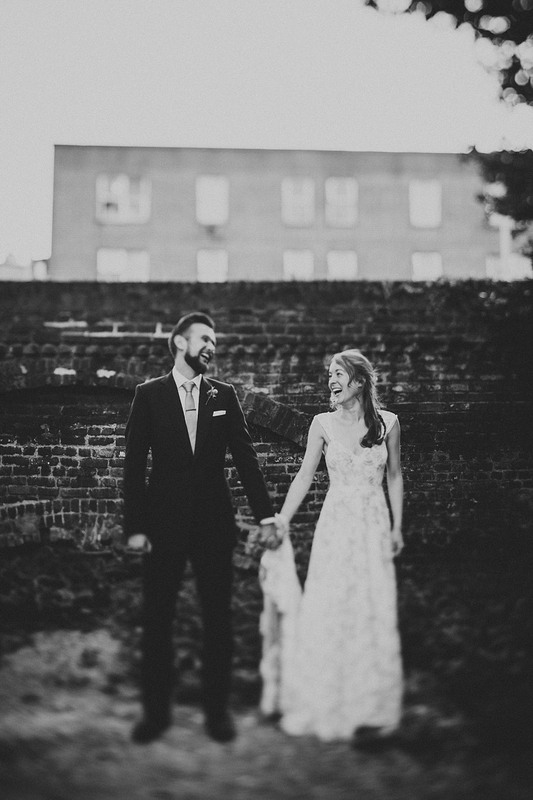 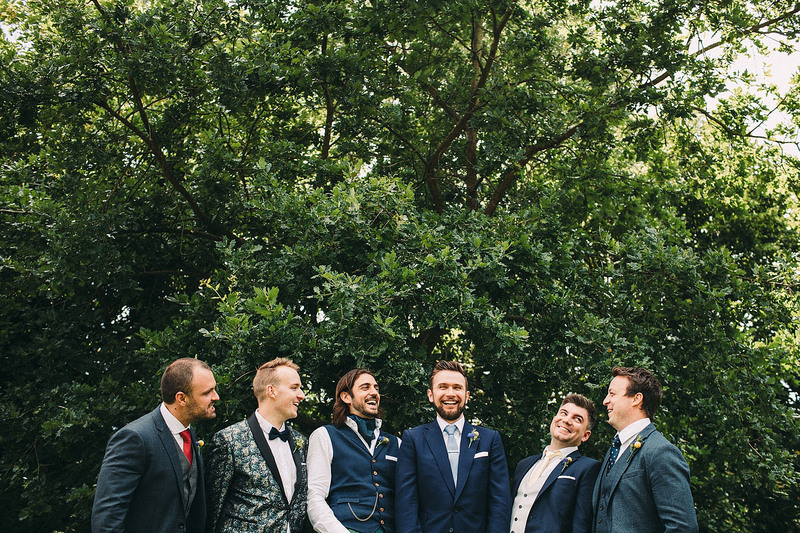 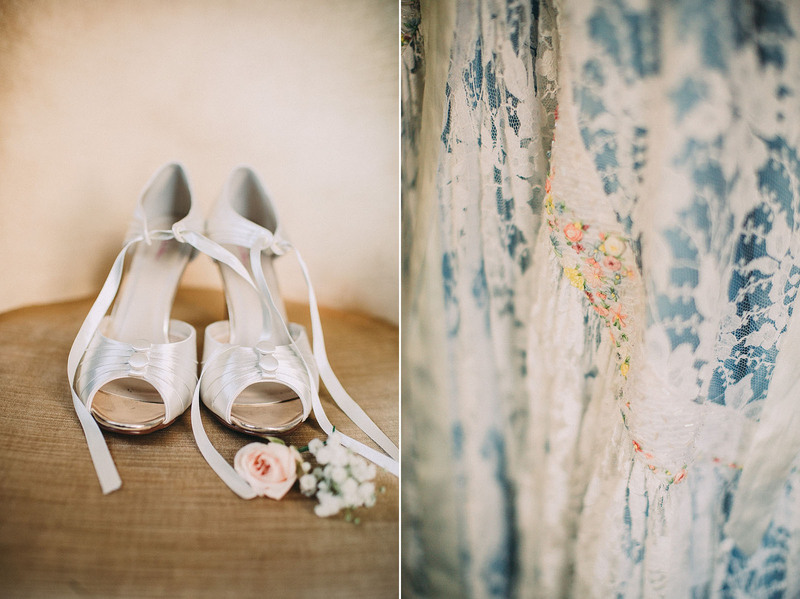 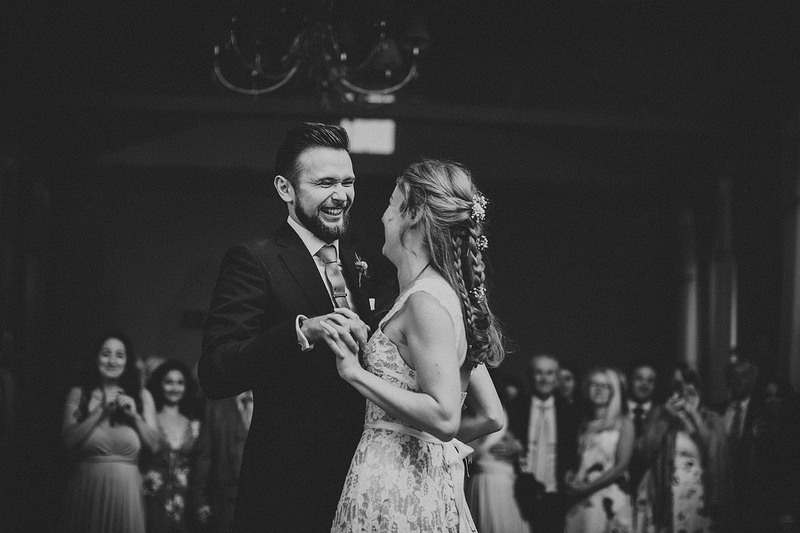 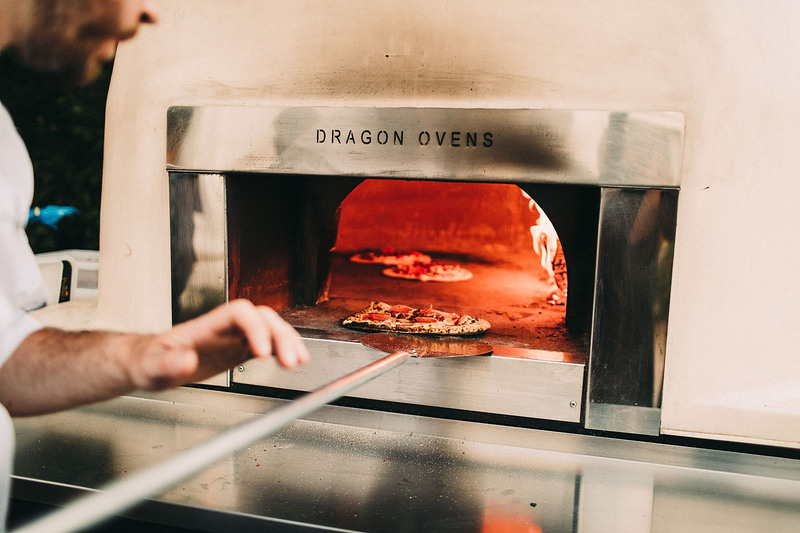 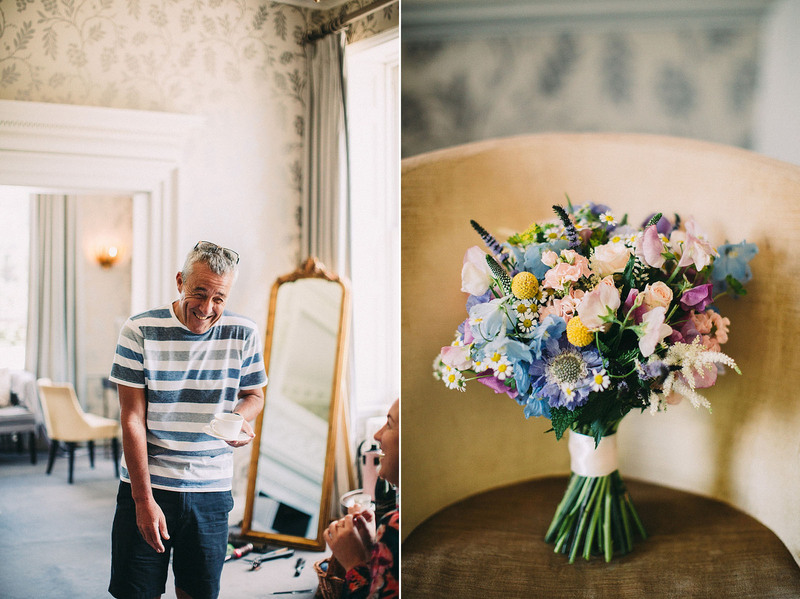 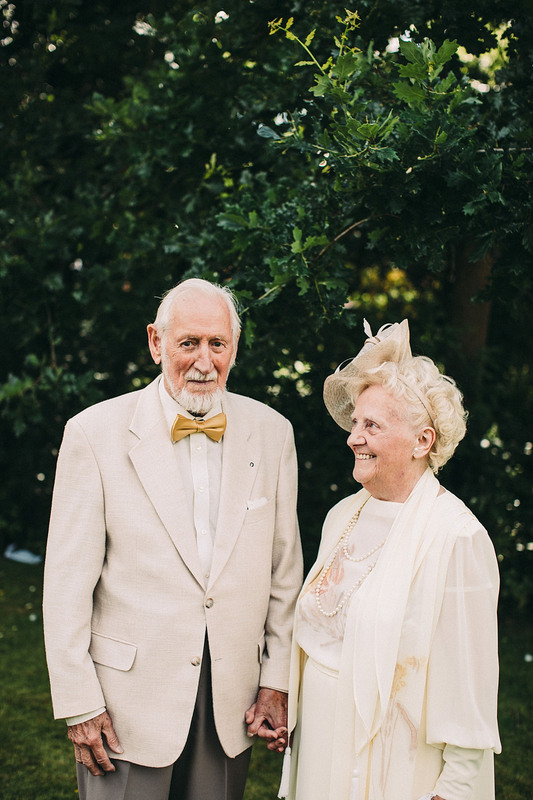 Auburn and Olly held their wedding at Morden Hall, which is a beautiful hidden gem of a place. 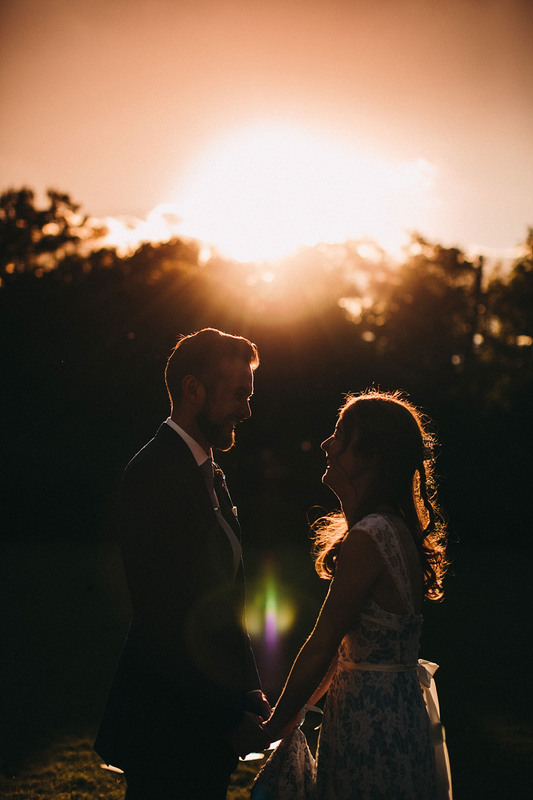 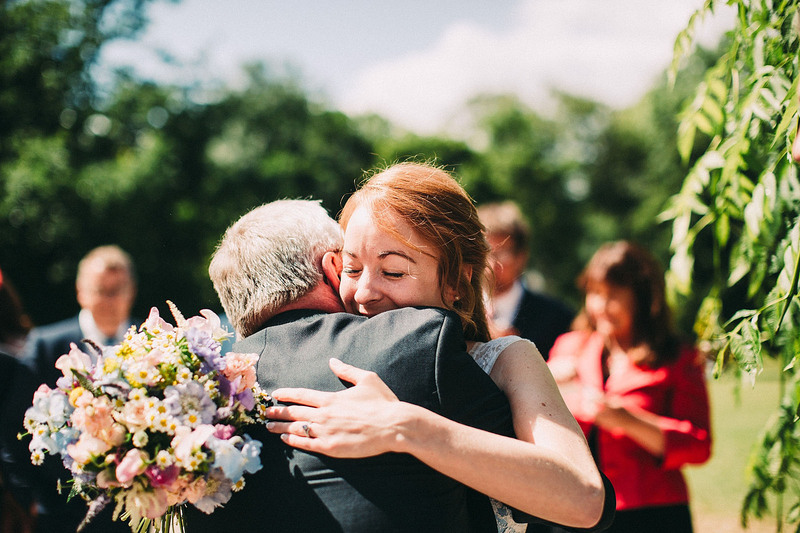 The sun was shining, the tears were flowing and love was all around, it was truly magnificent! 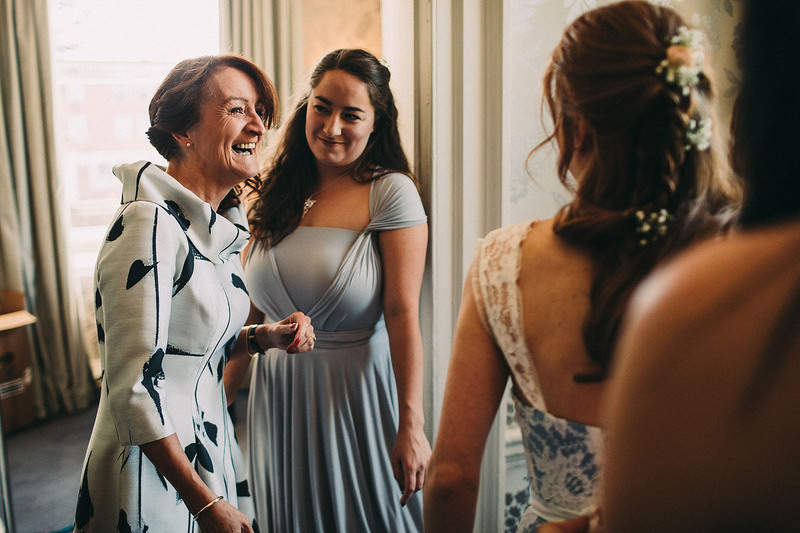 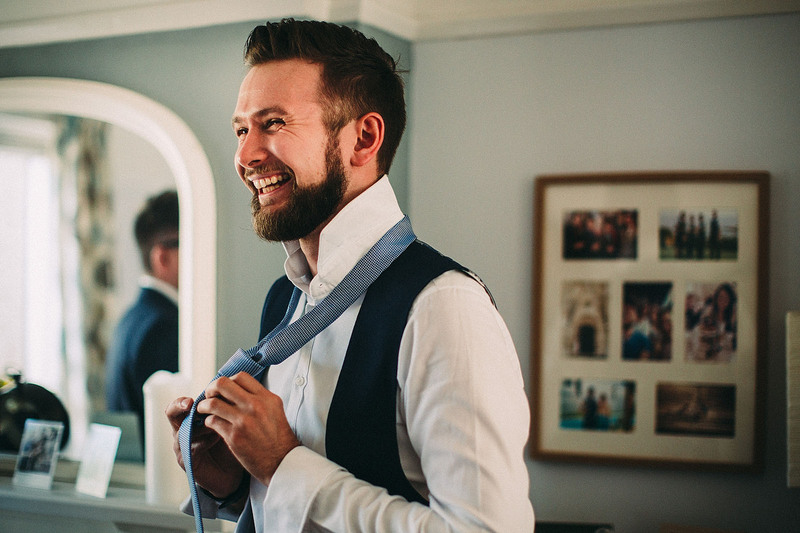 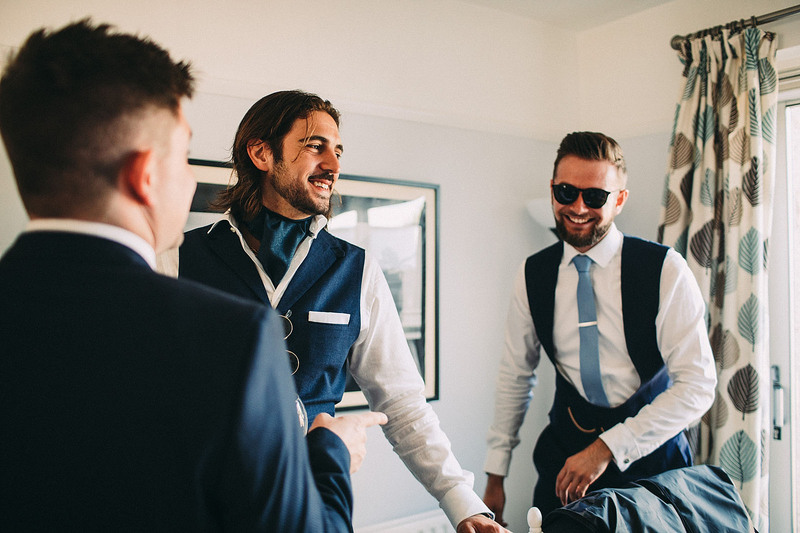 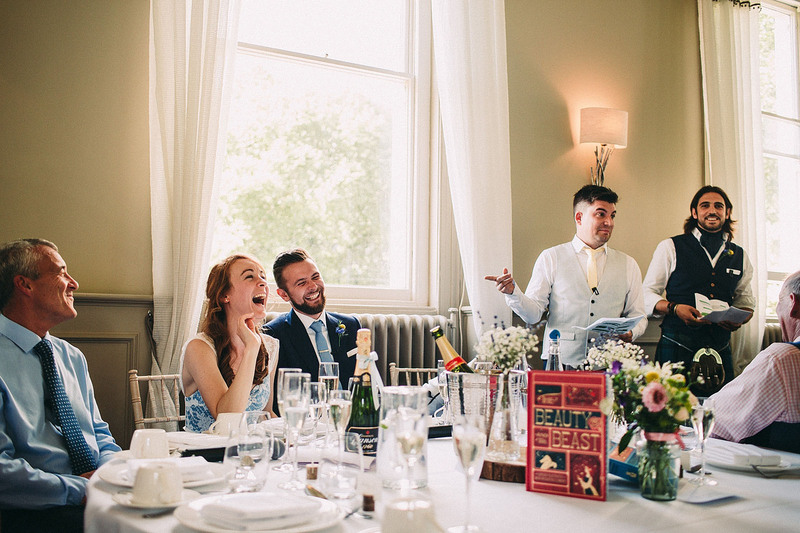 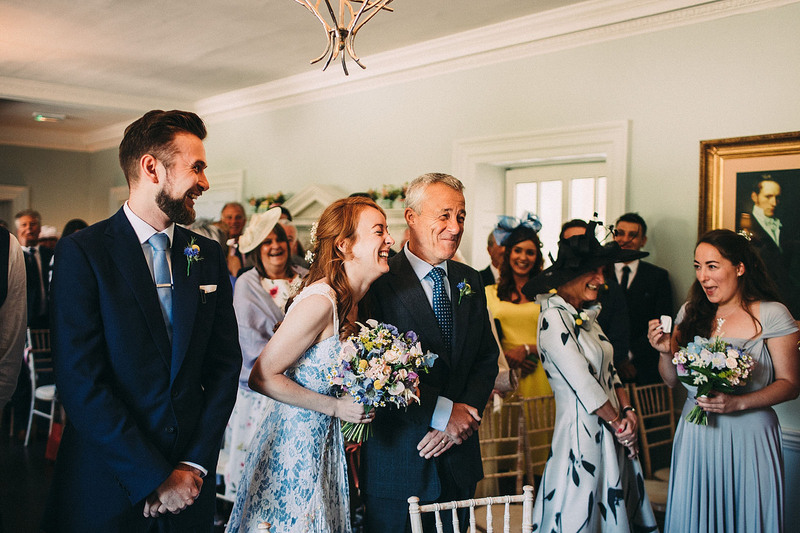 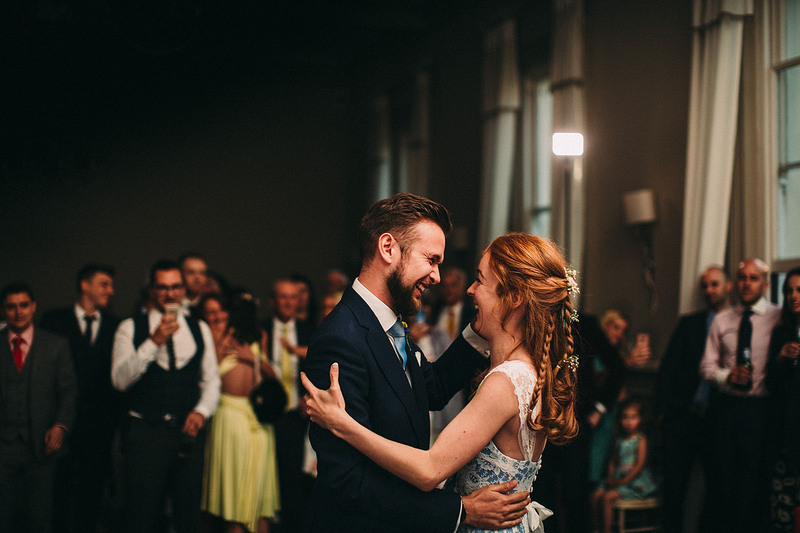 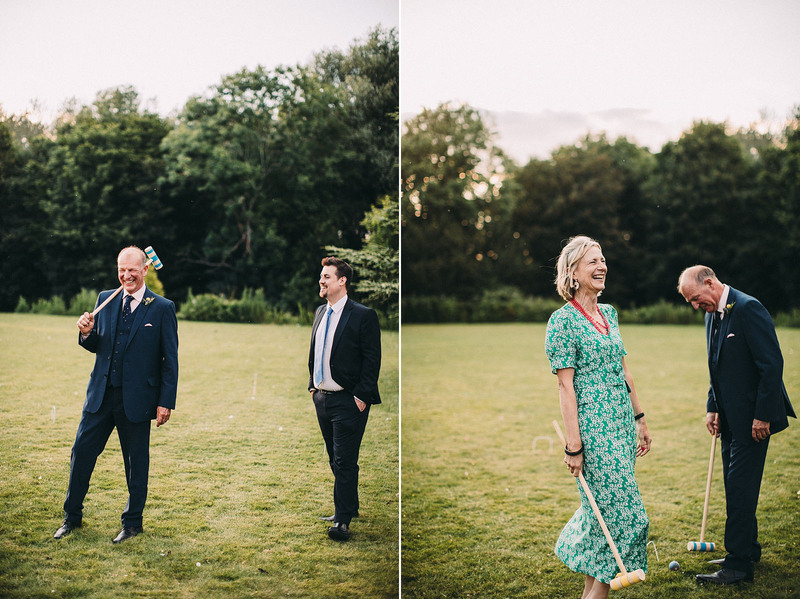 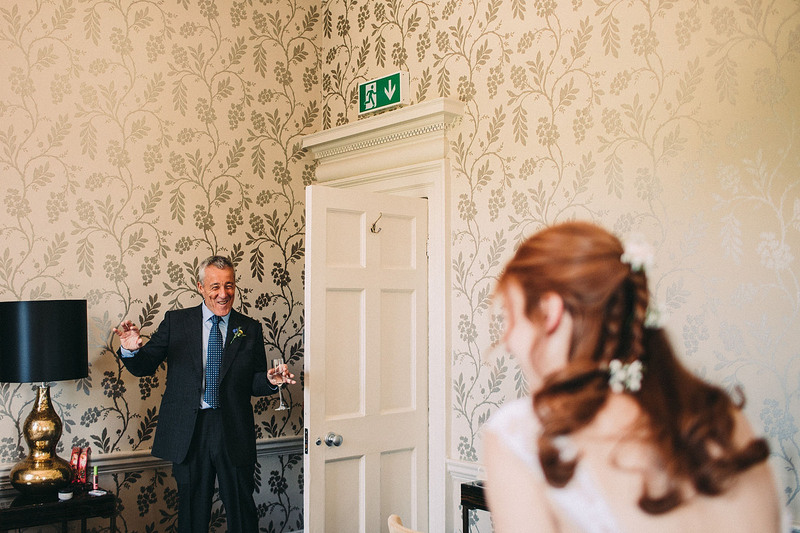 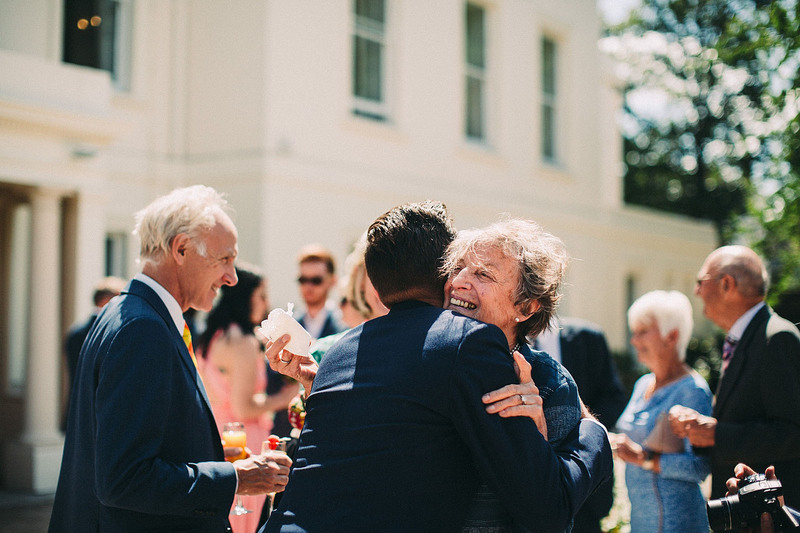 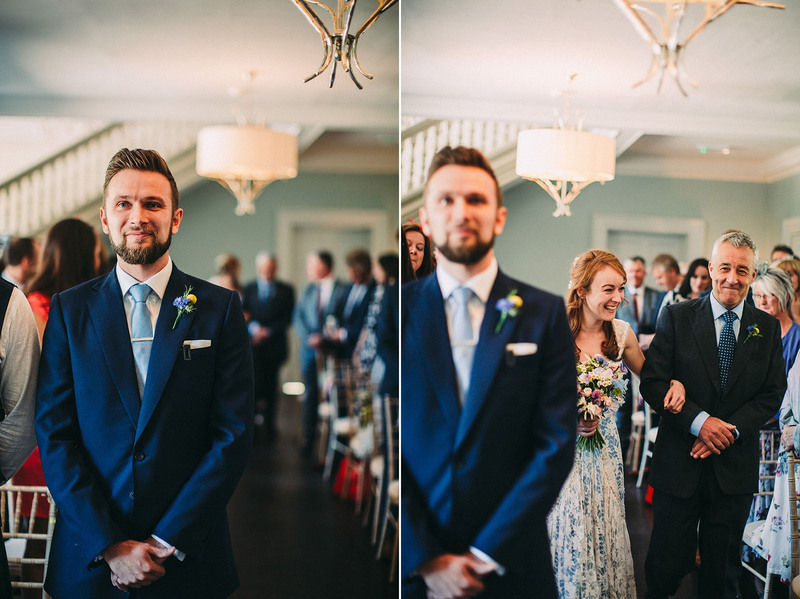 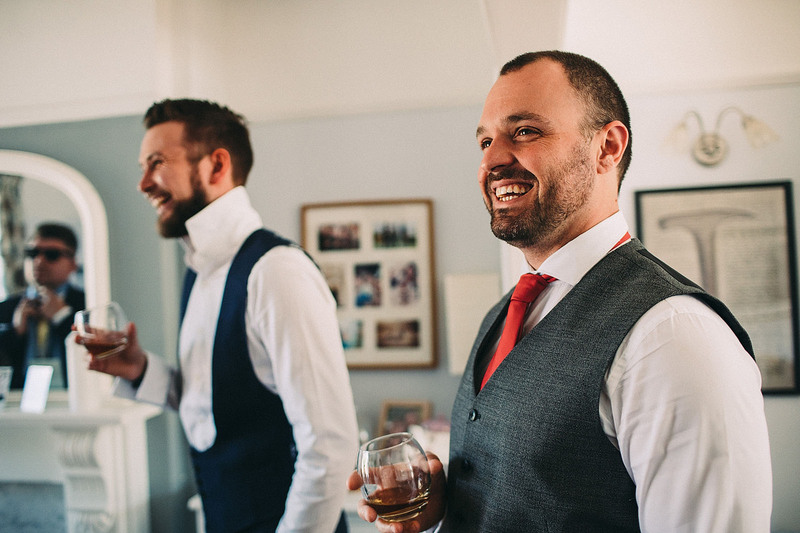 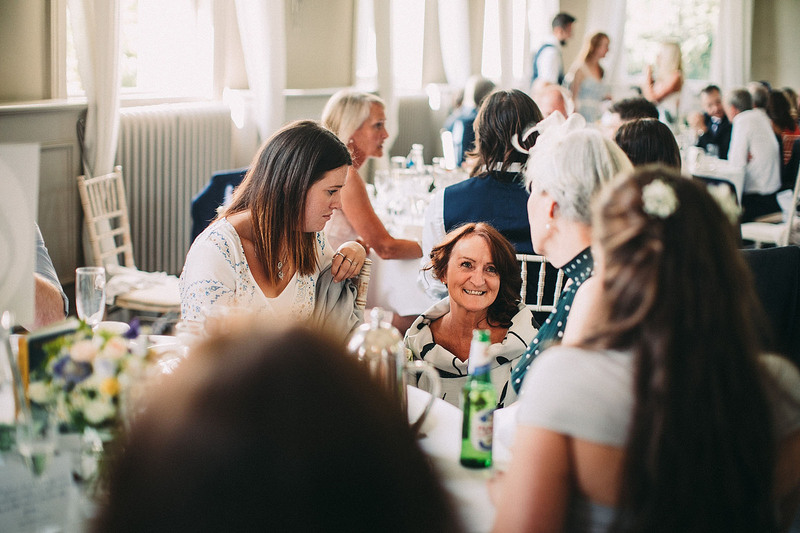 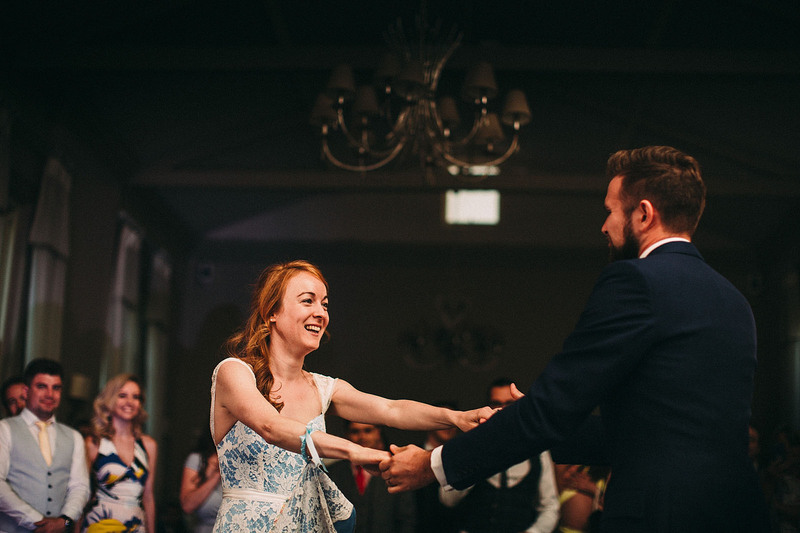 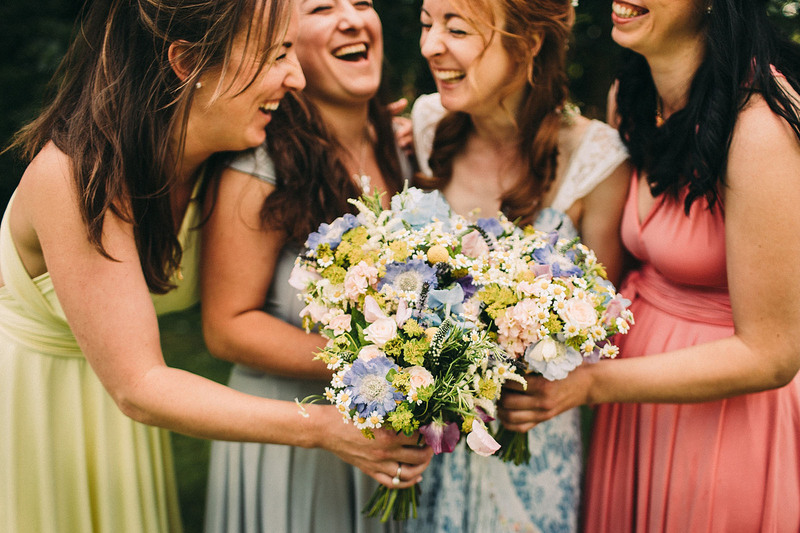 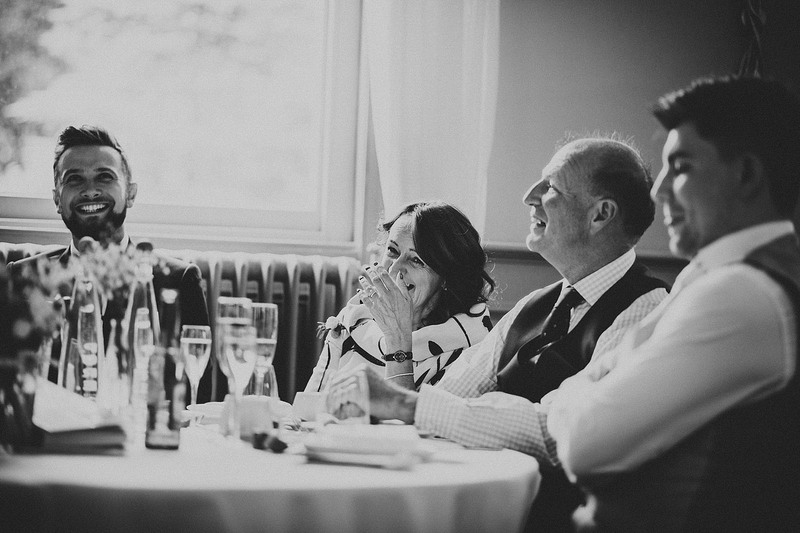 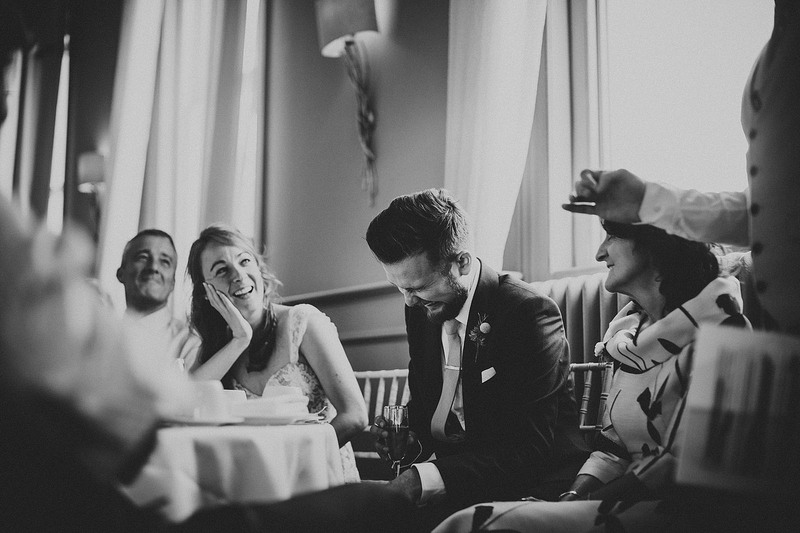 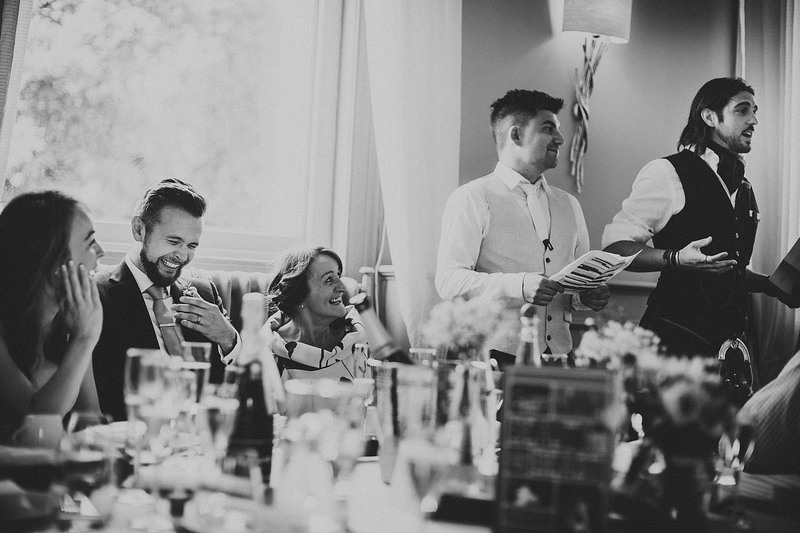 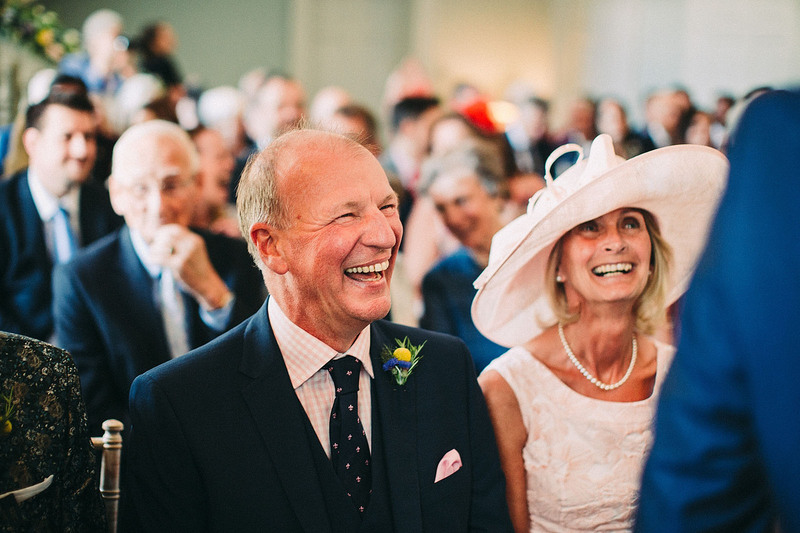 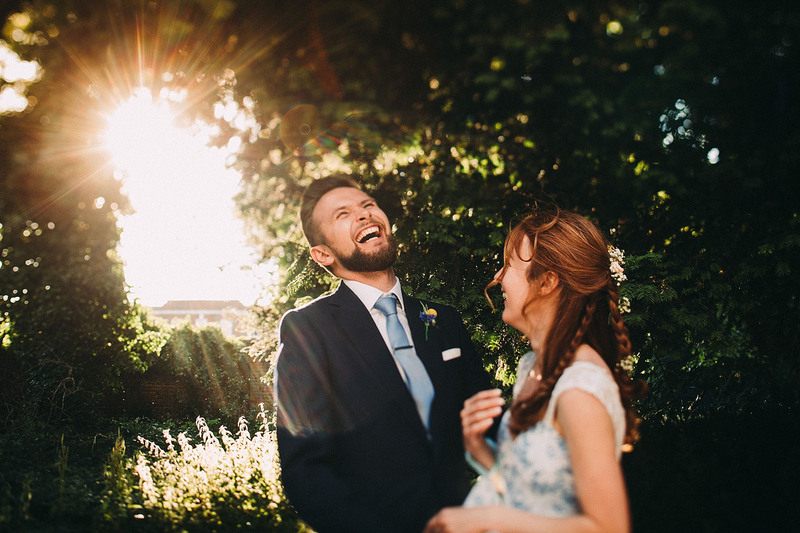 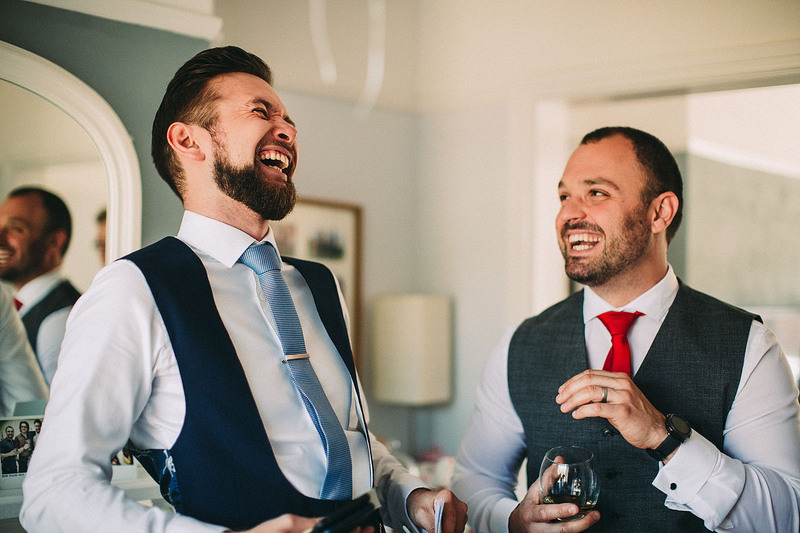 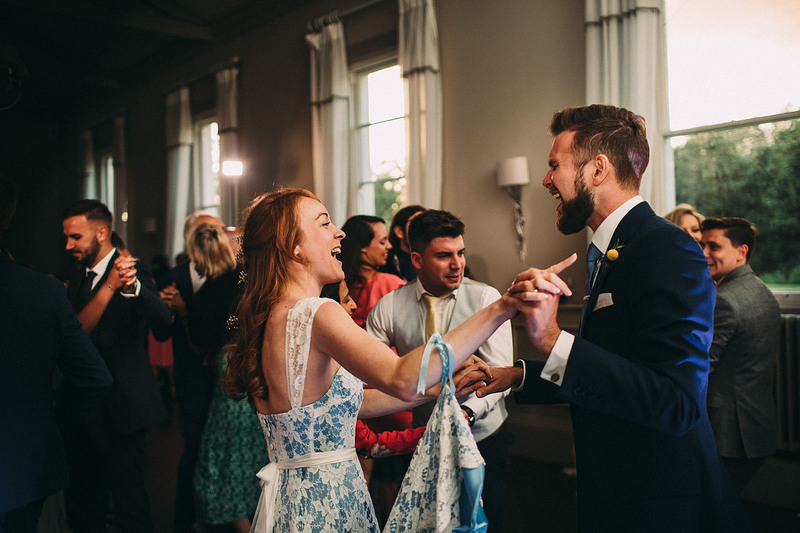 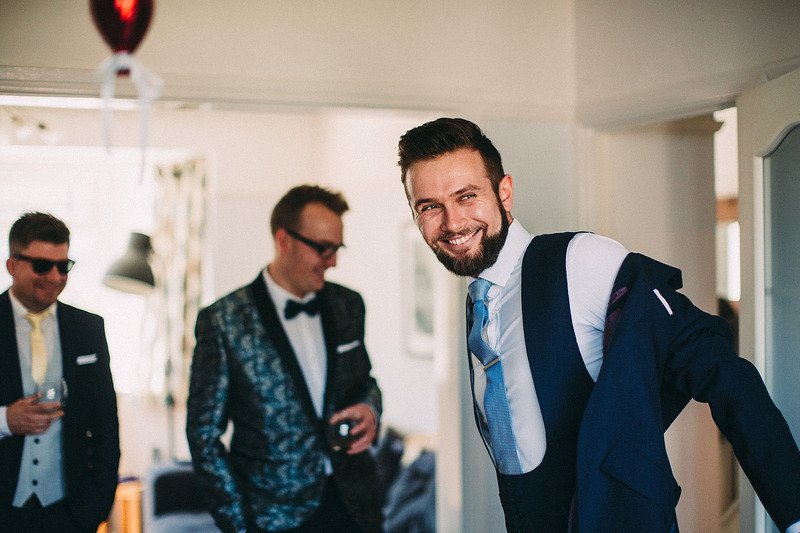 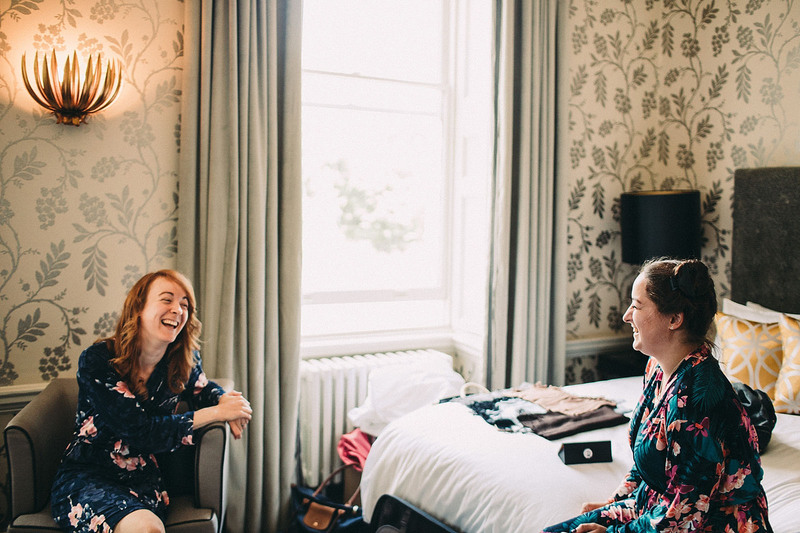 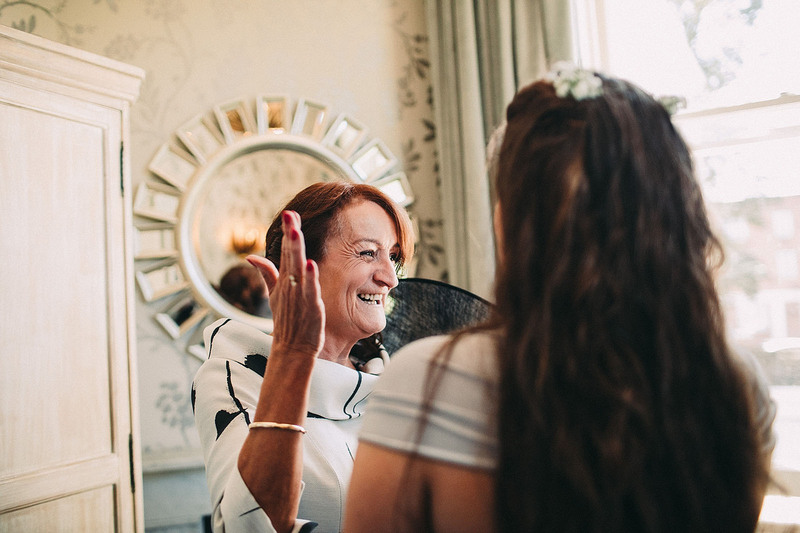 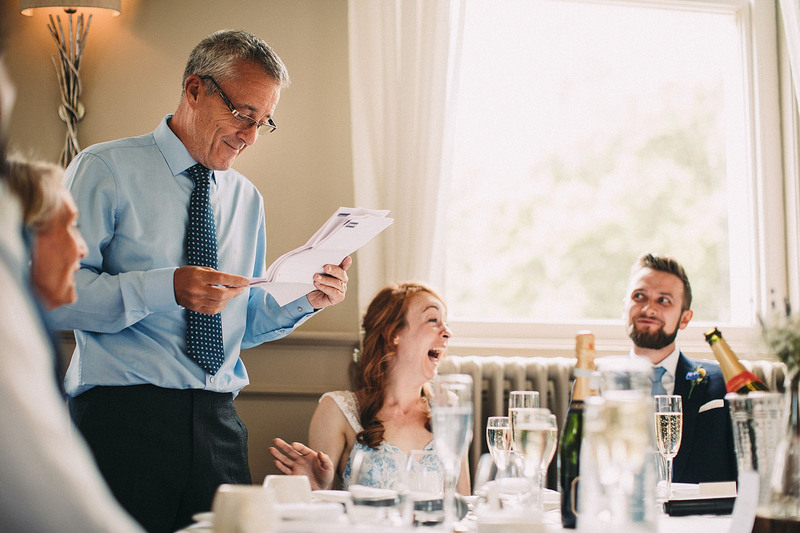 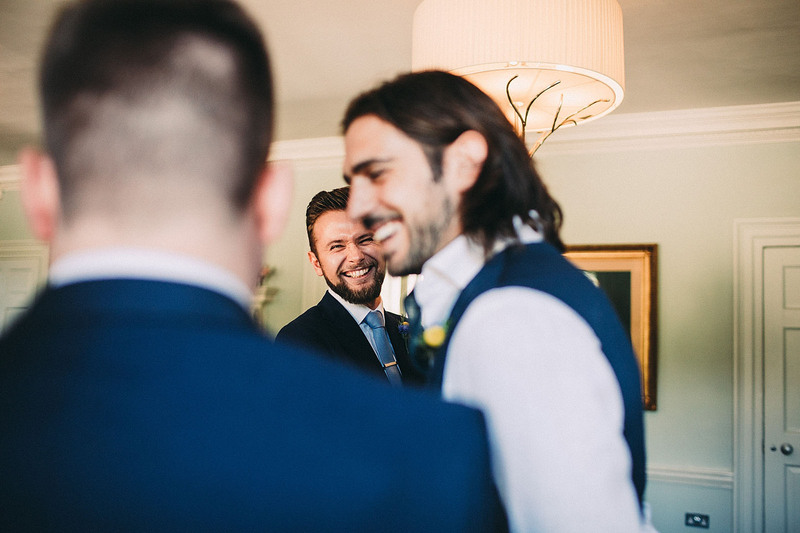 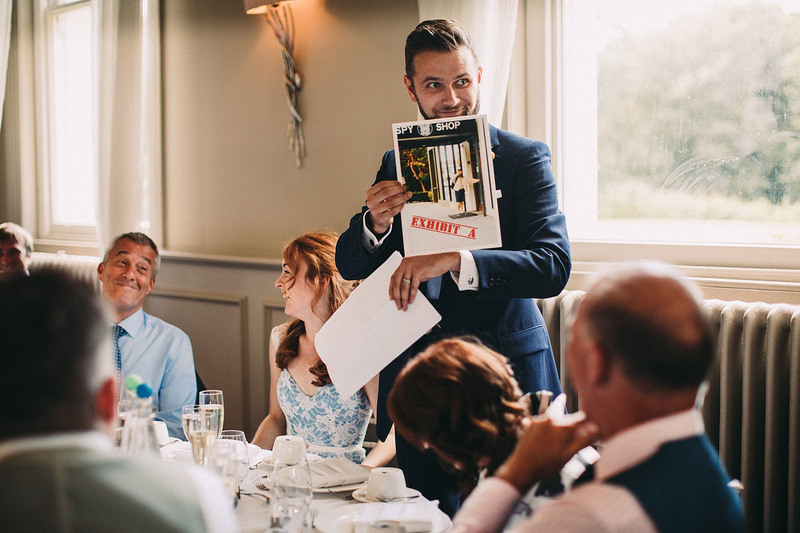 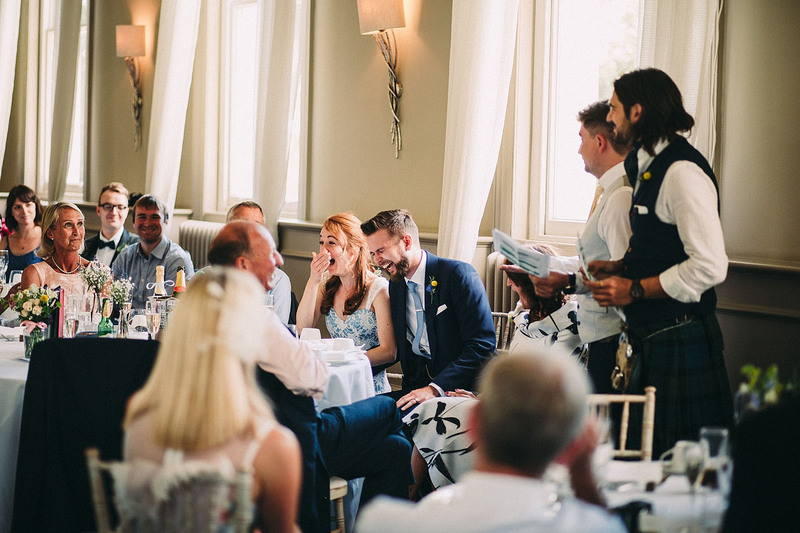 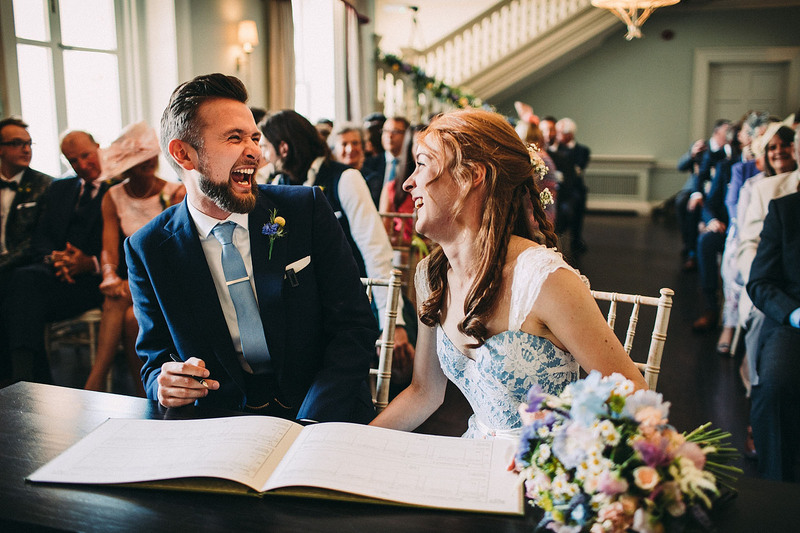 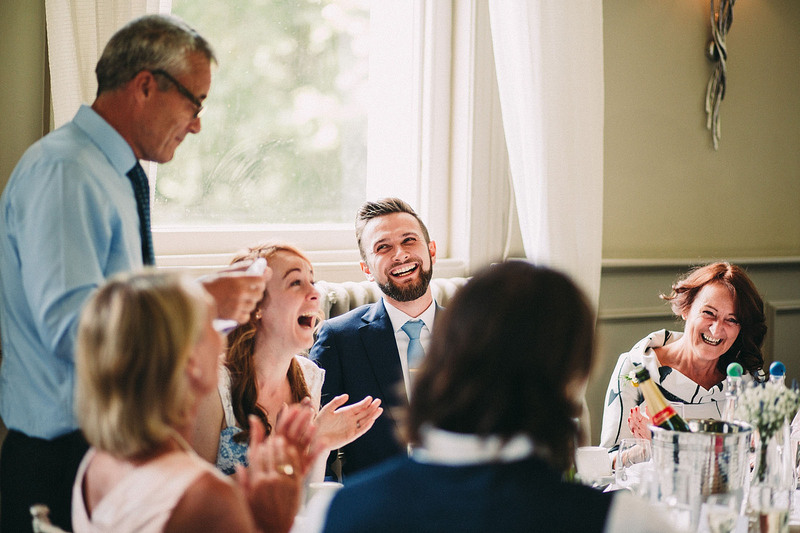 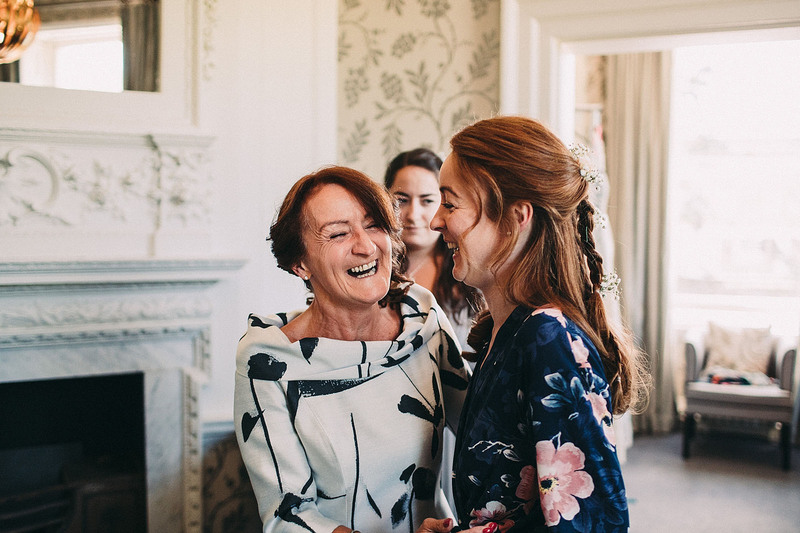 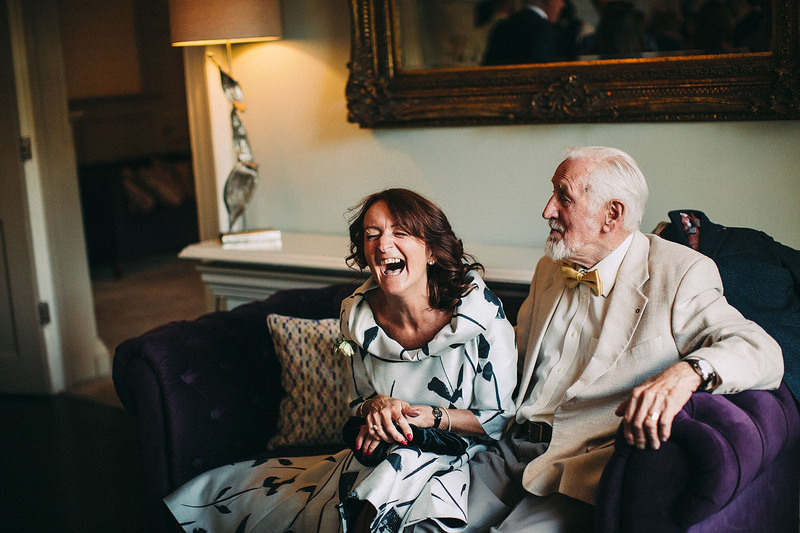 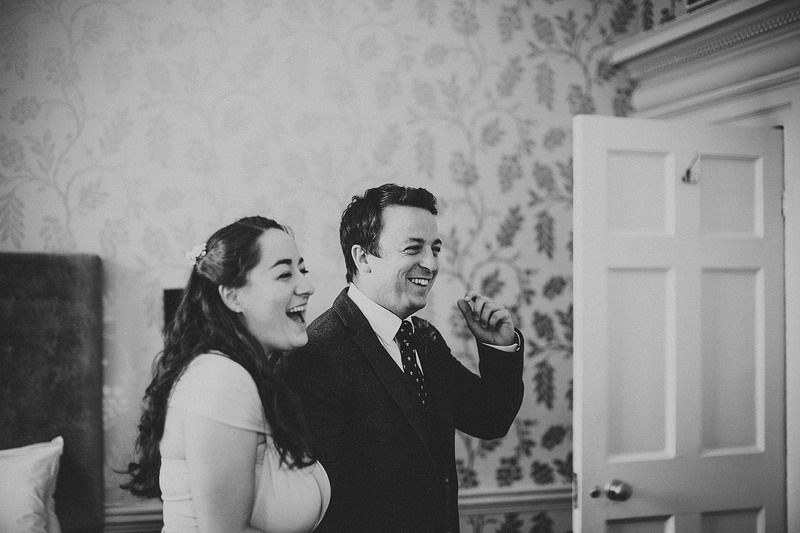 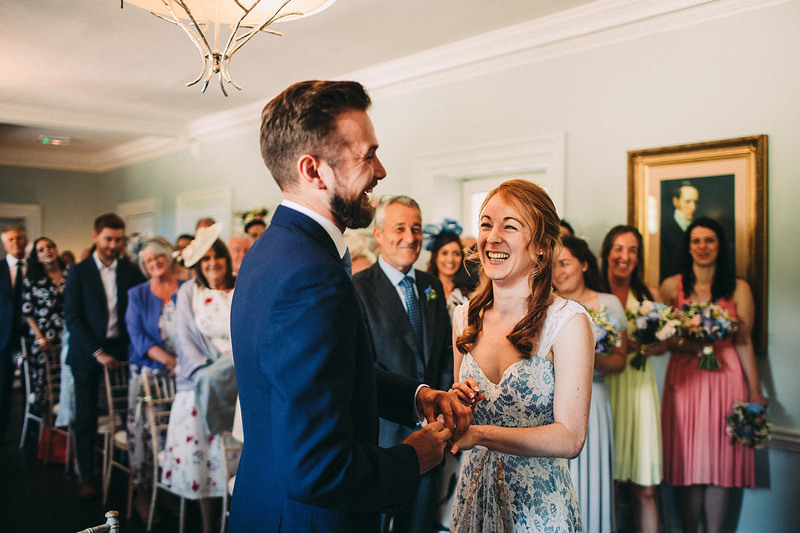 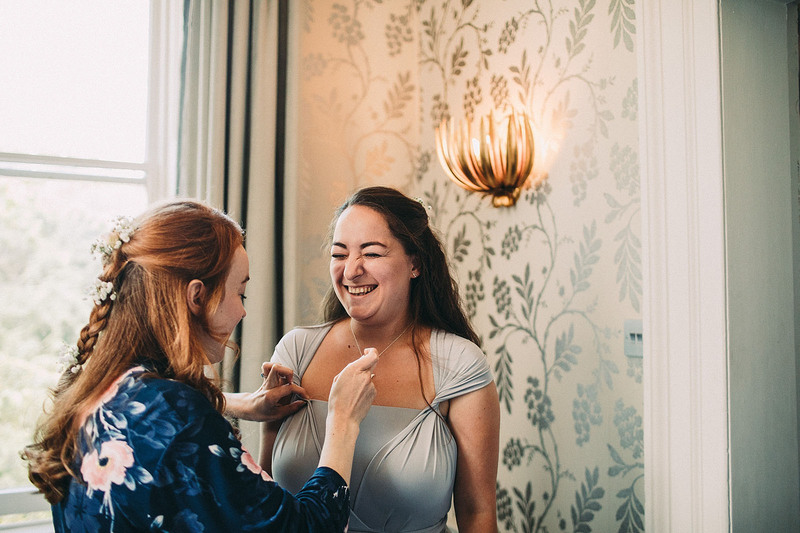 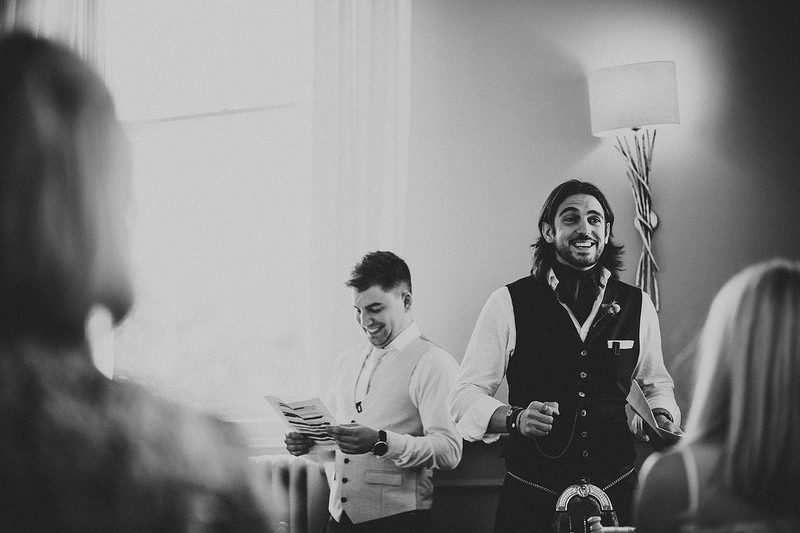 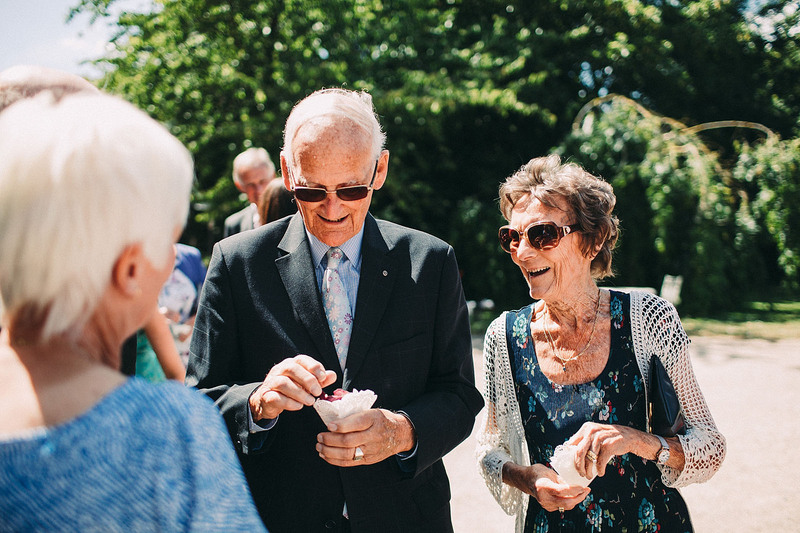 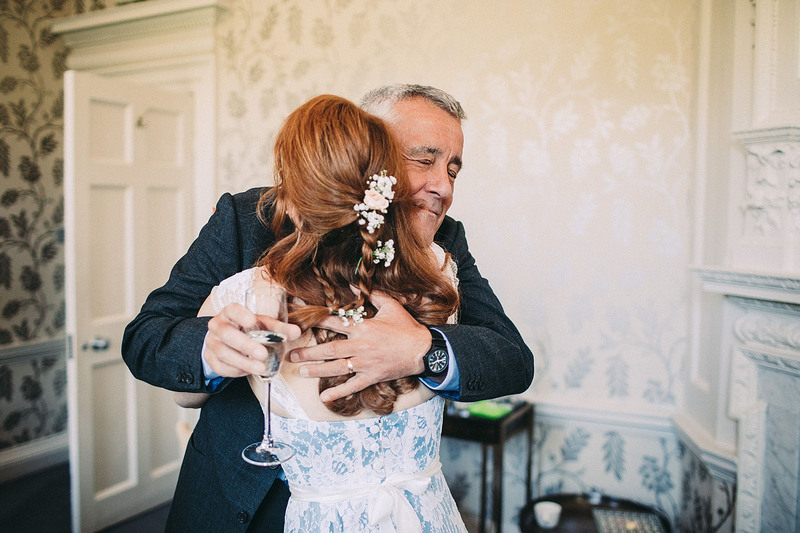 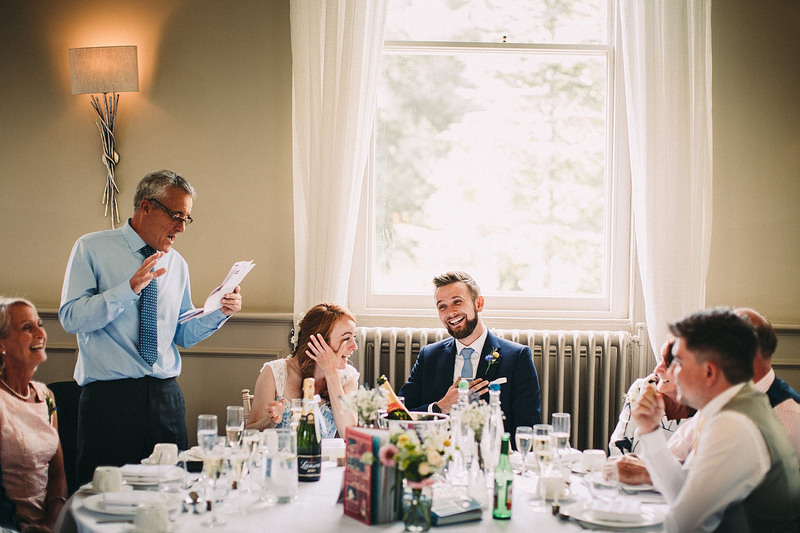 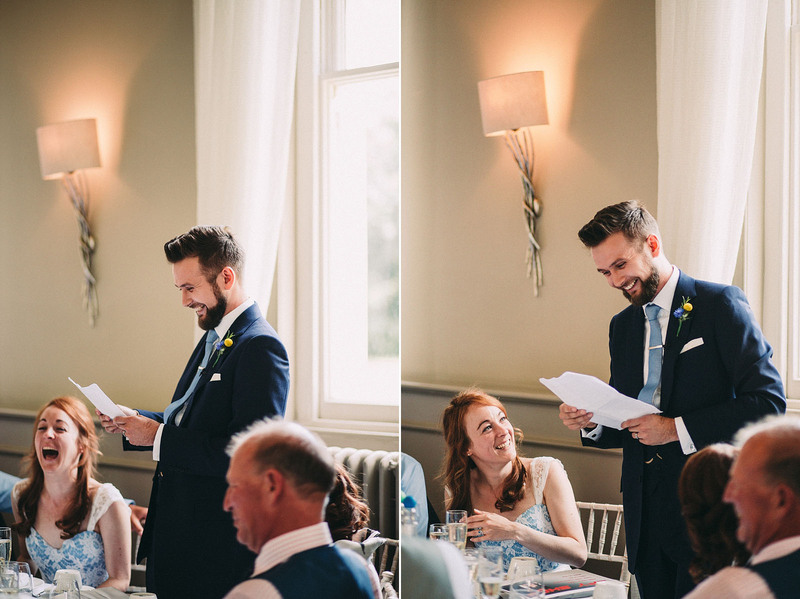 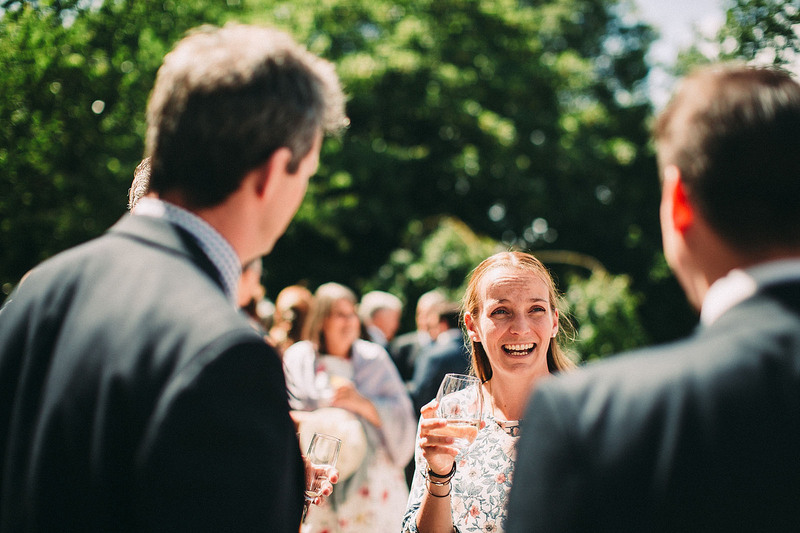 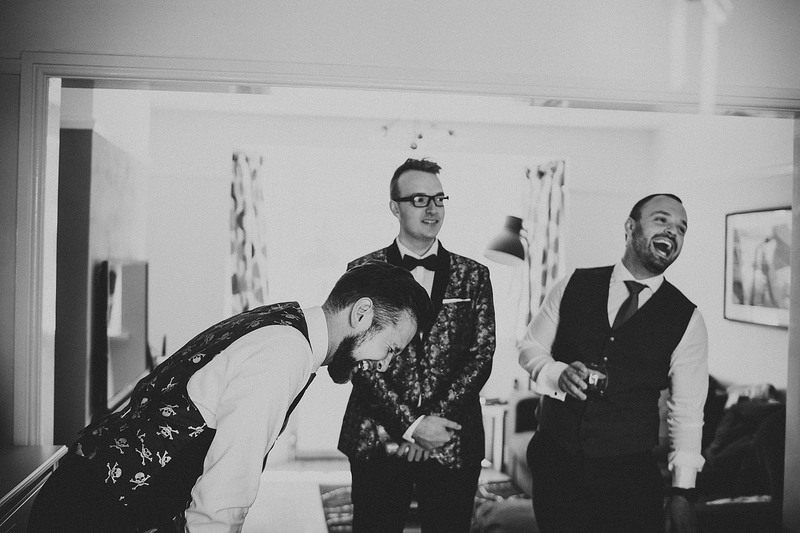 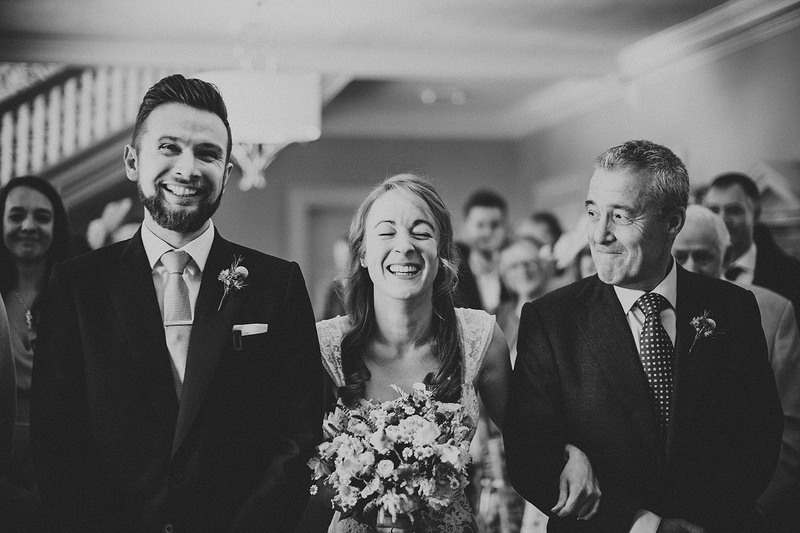 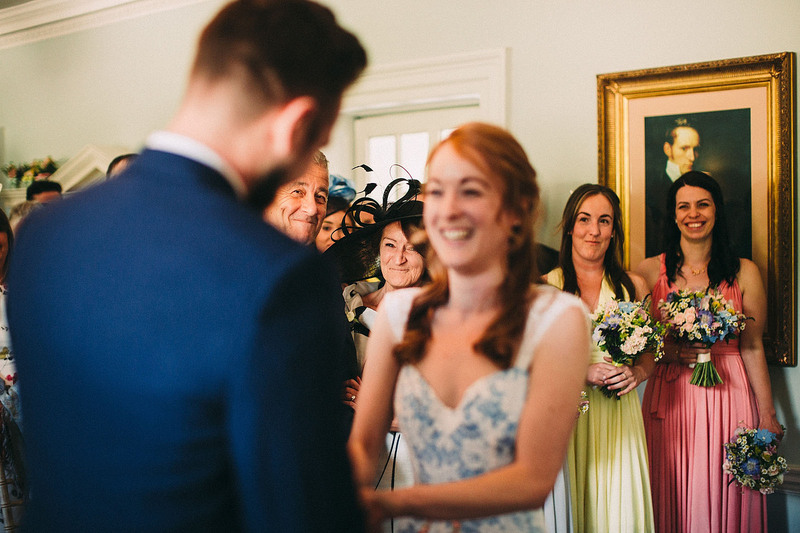 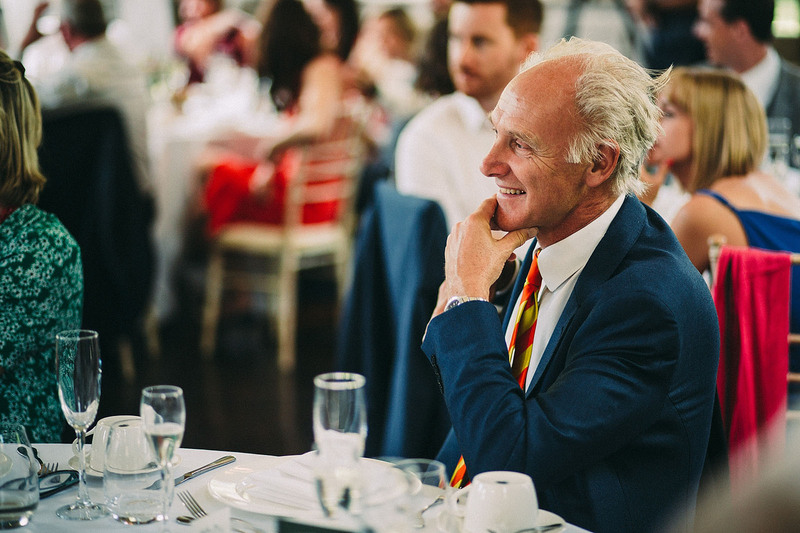 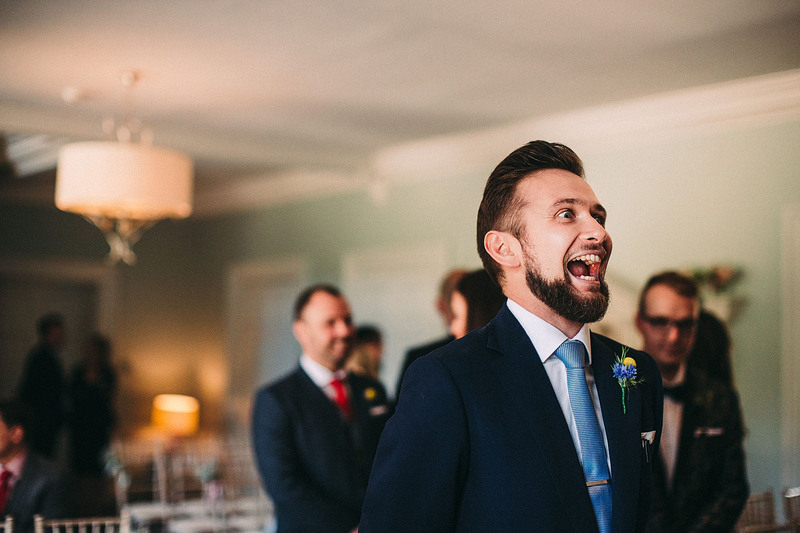 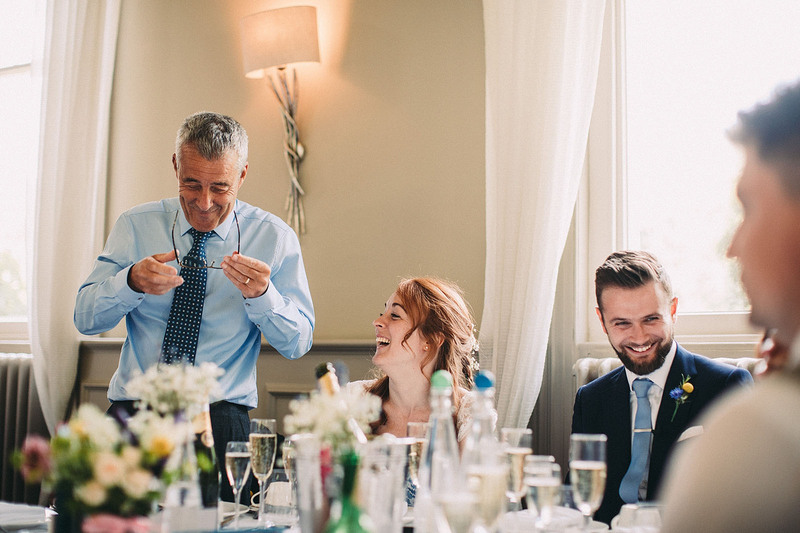 We were so excited about this wedding, Olly and Auburn are such lovely, funny people; we just knew it would be filled with expressive faces and joy, and we were not disappointed! 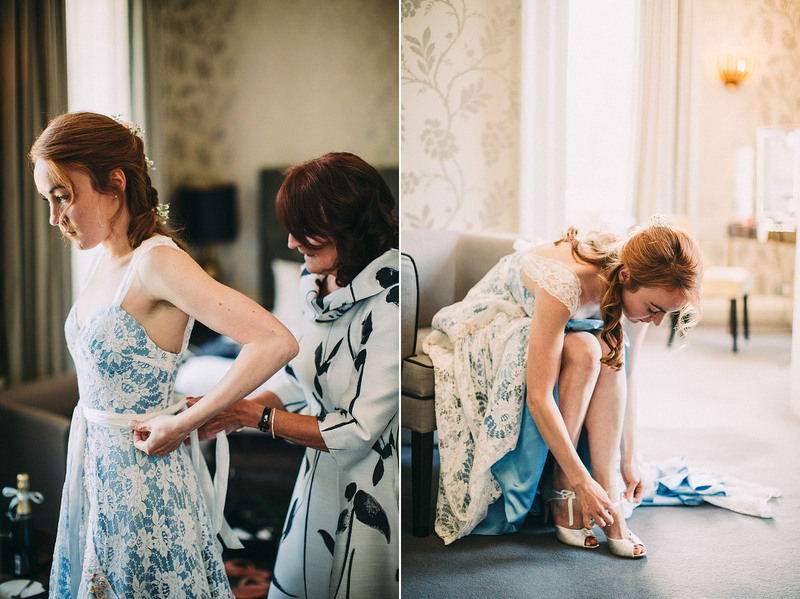 The extremely talented Auburn created her wedding dress using her Grandma’s wedding gown, and it was really incredible. 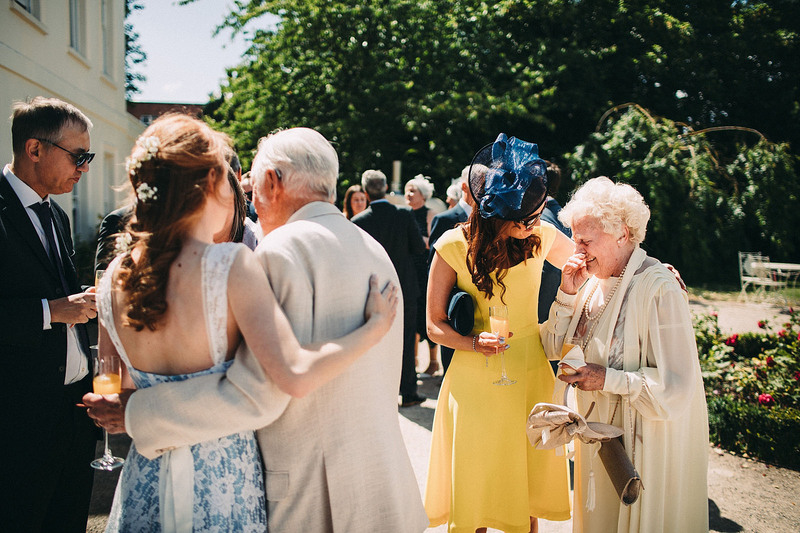 The reaction from her Grandma was just priceless, what a special thing to do. 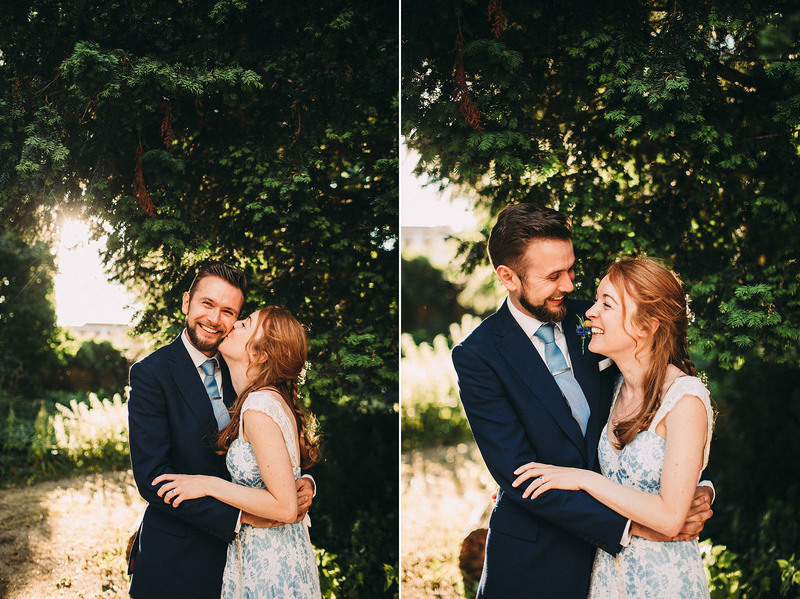 We’ll be sharing a film of their day over on our film site soon (Pete filmed while Laura photographed!). 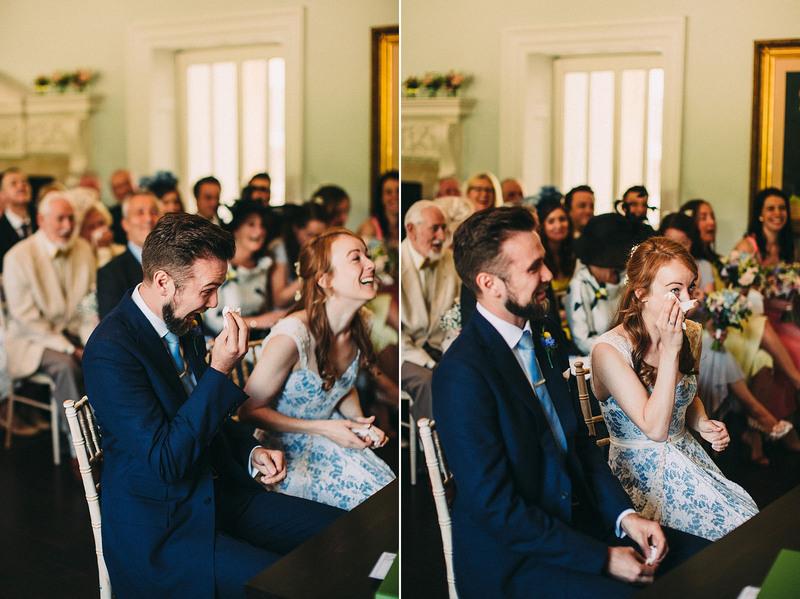 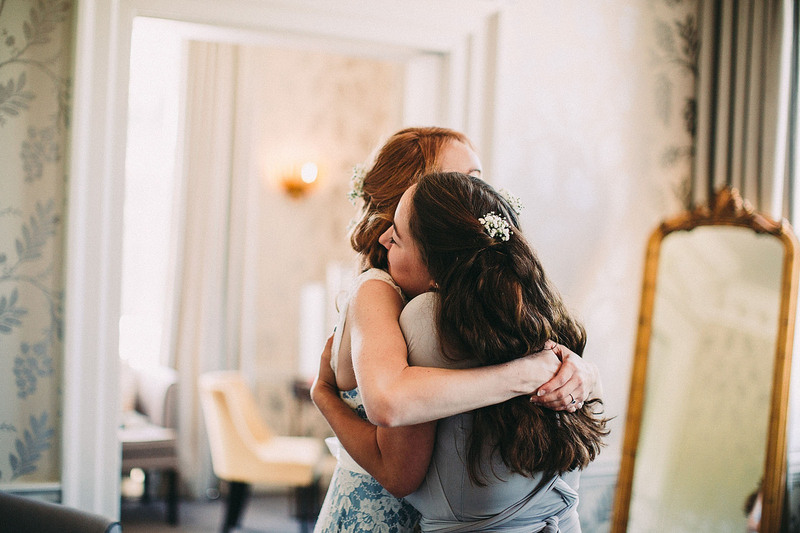 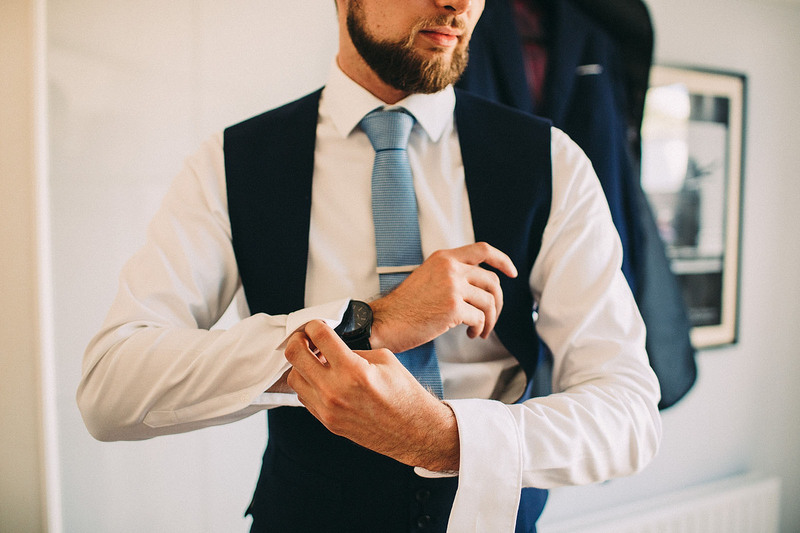 We’re so happy we could film this day too, because those vows were beautiful (everyone cried!). 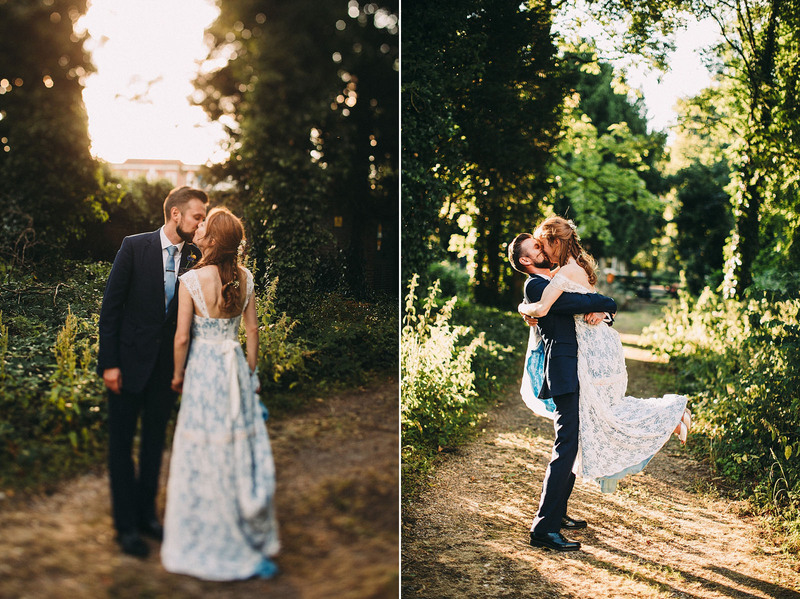 what gorgeous photographs! 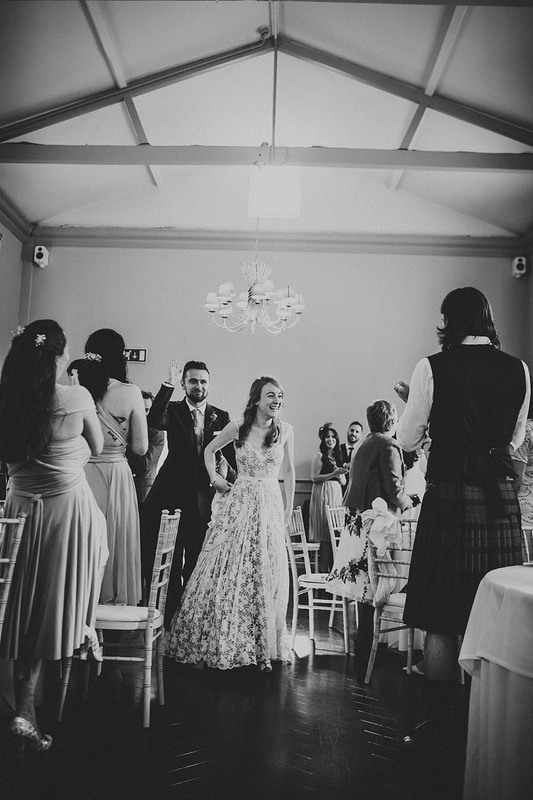 I ADORE her dress, it’s beautiful. 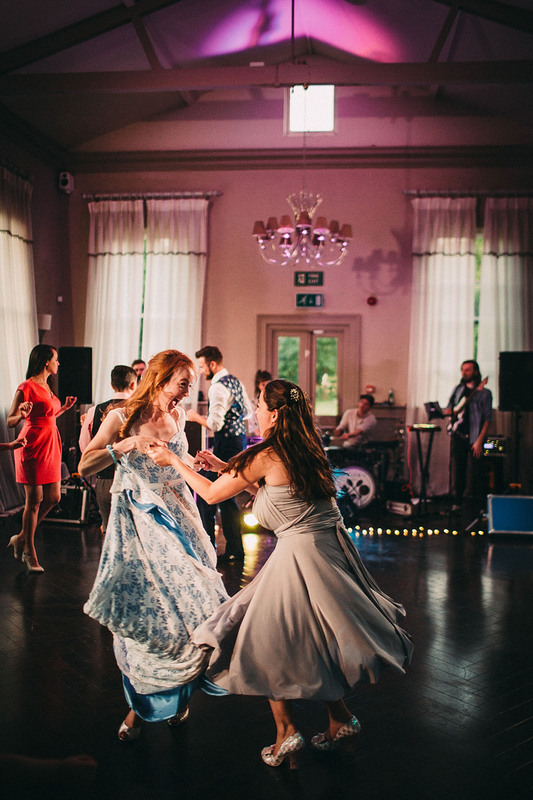 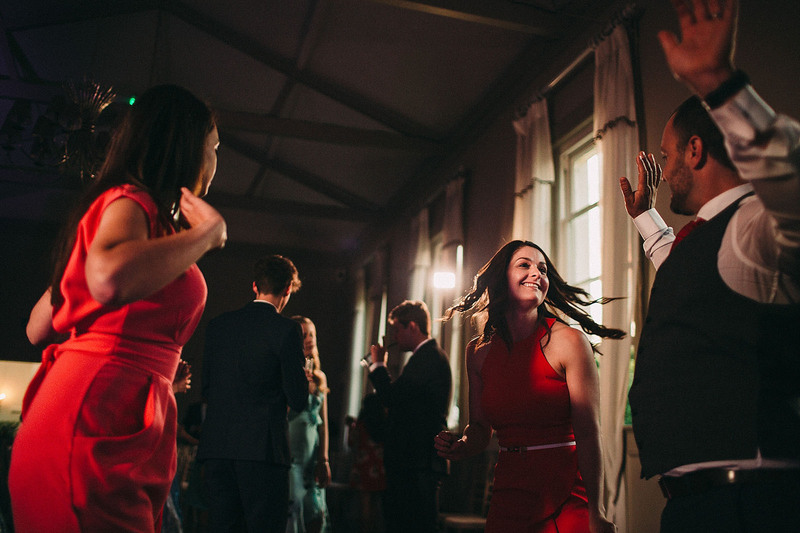 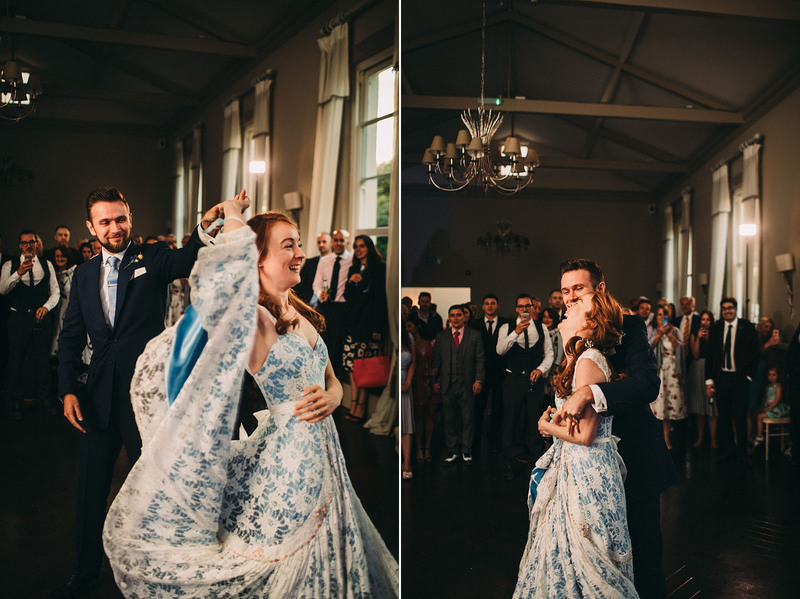 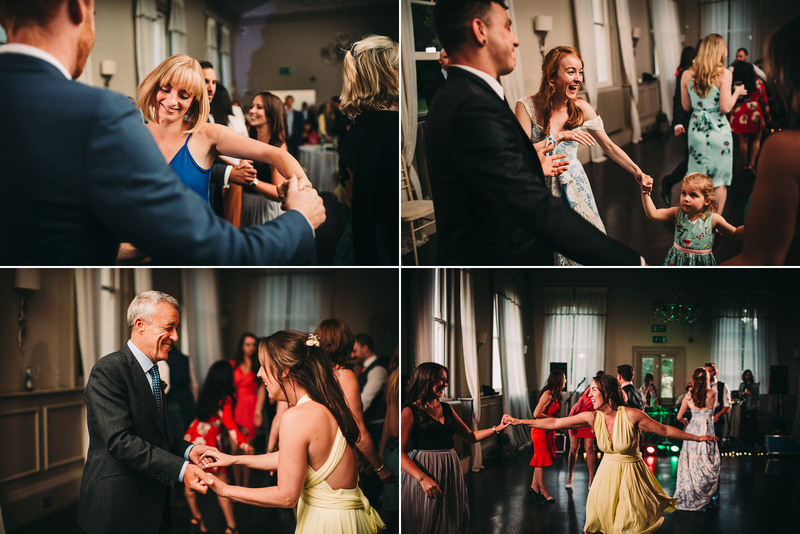 Particularly love your dancing shots too, the bridesmaid and bride one is priceless! 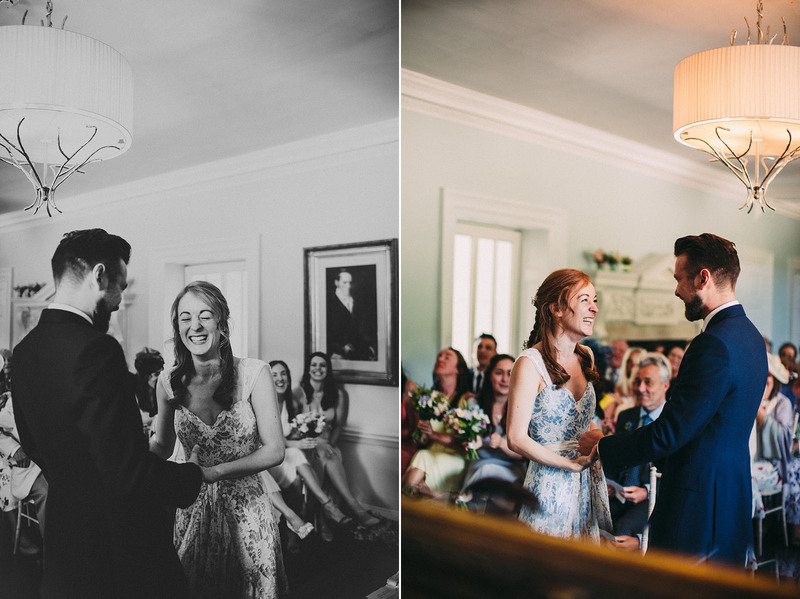 Everyone looked so happy, what a great wedding and as usual beautiful photos!